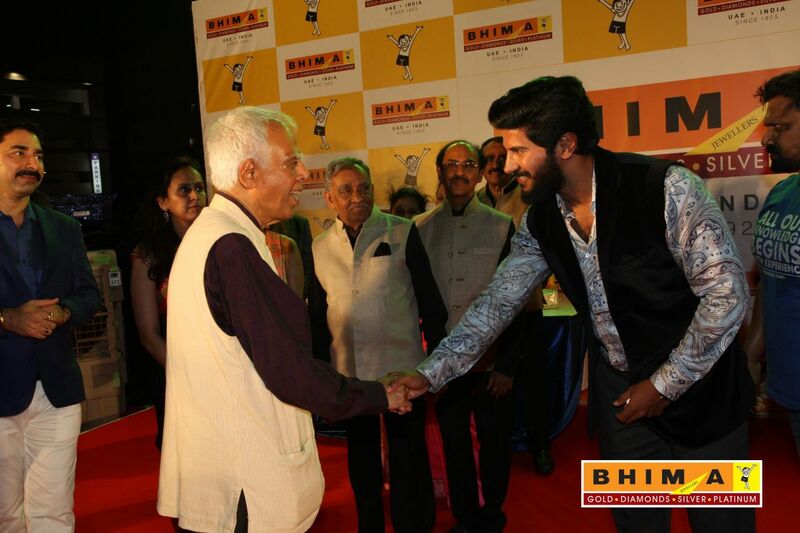 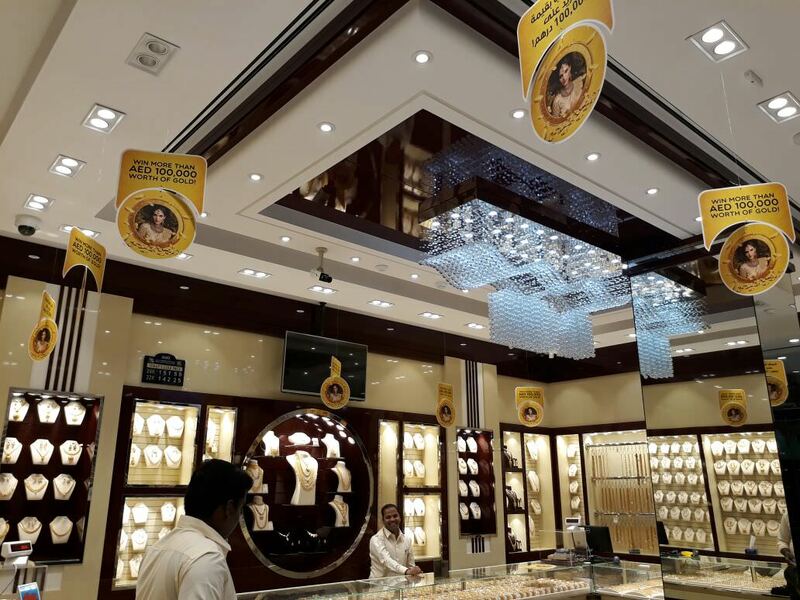 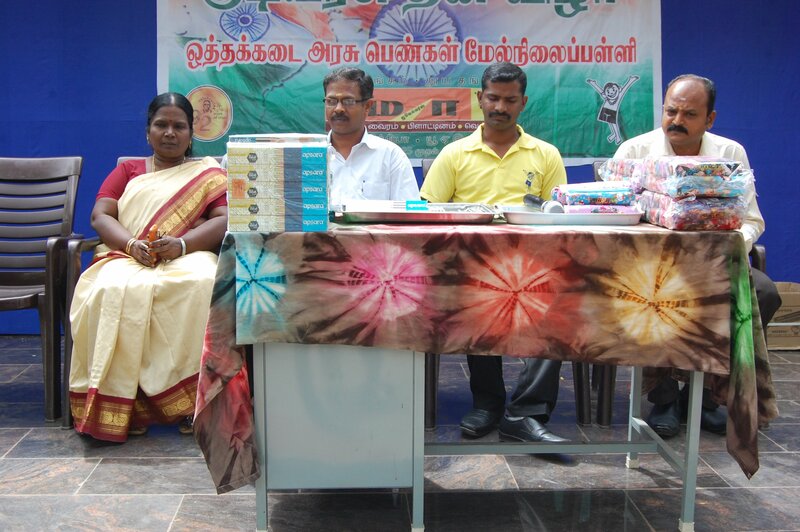 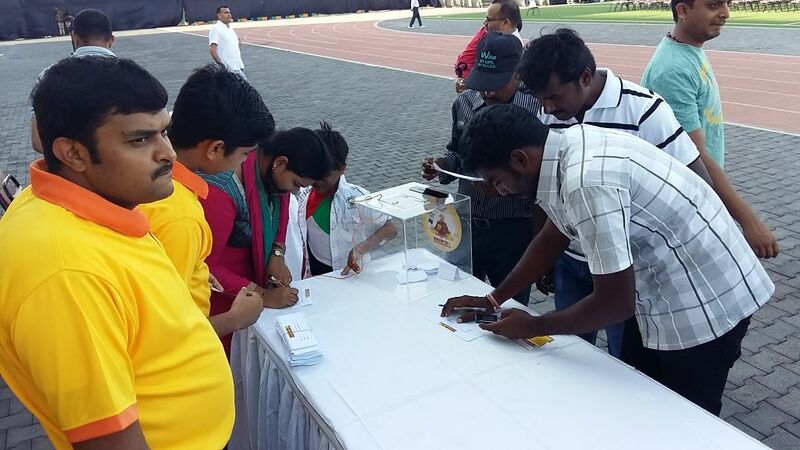 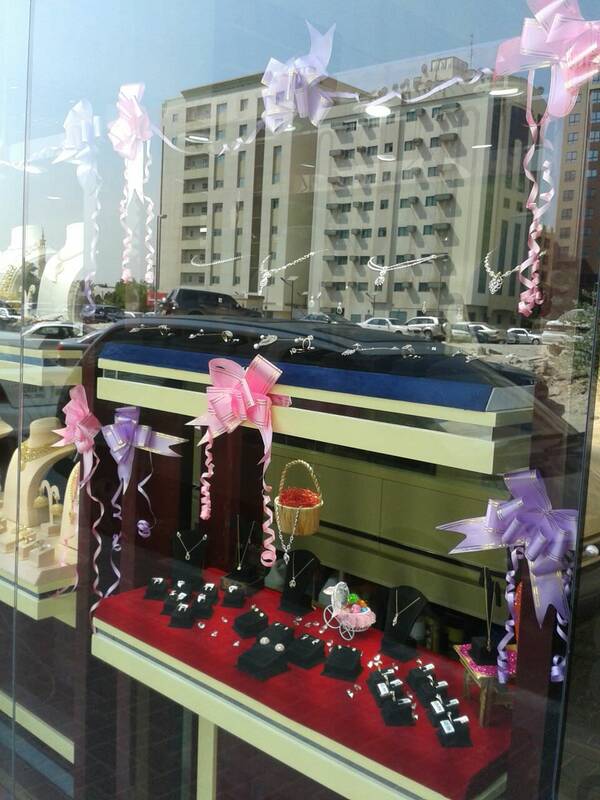 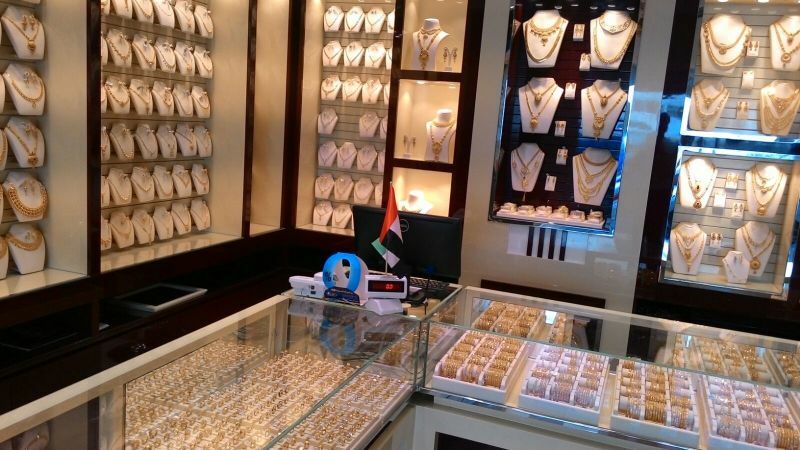 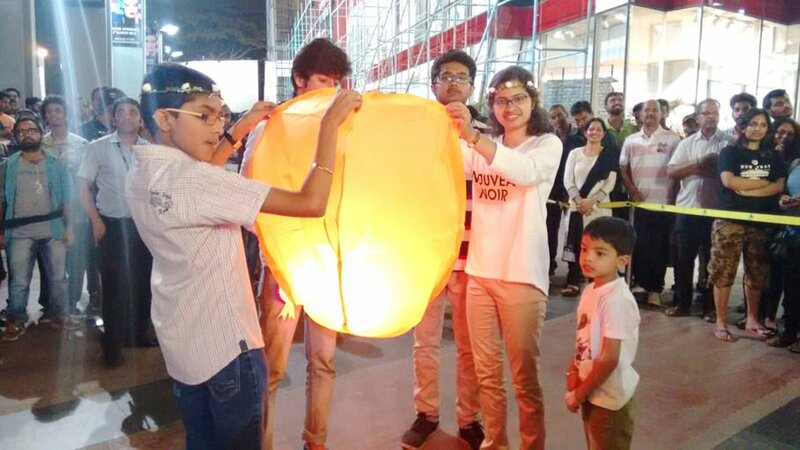 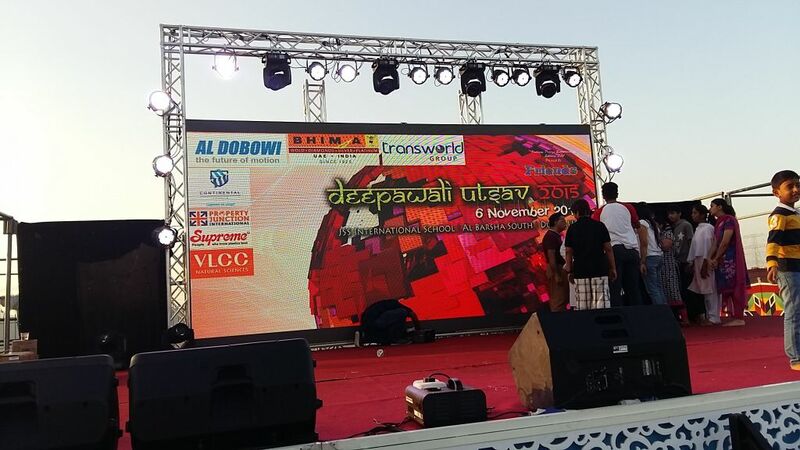 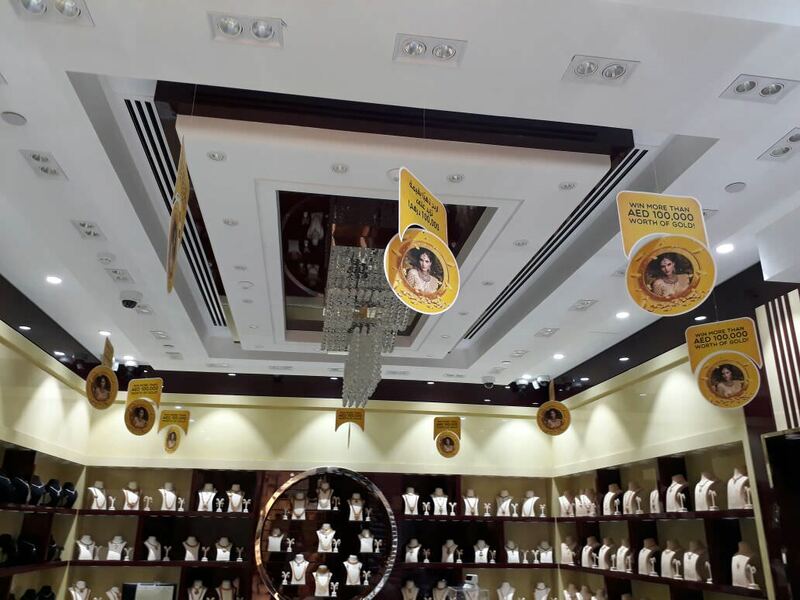 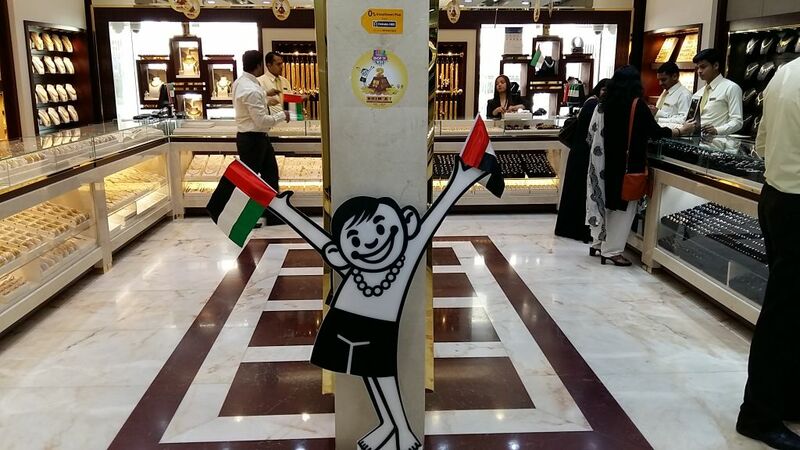 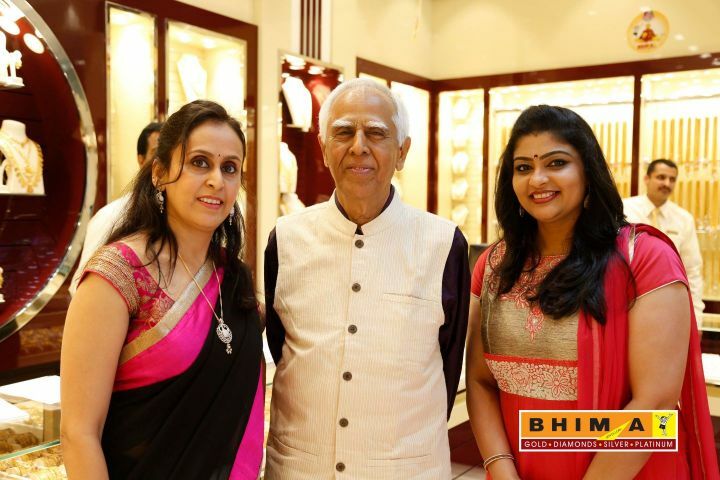 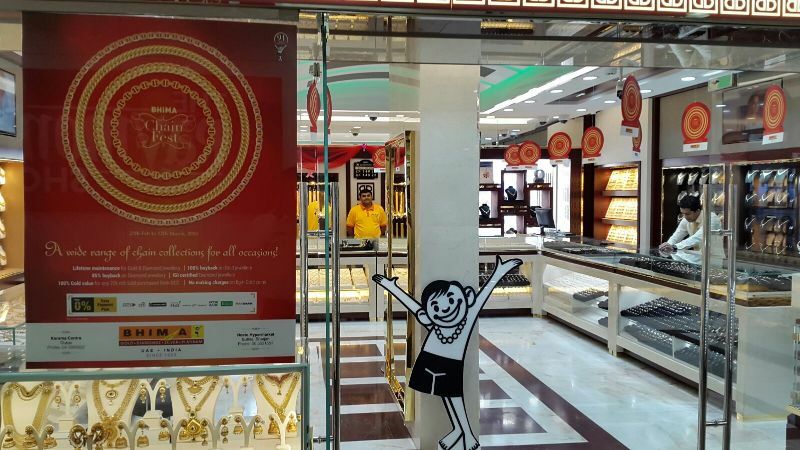 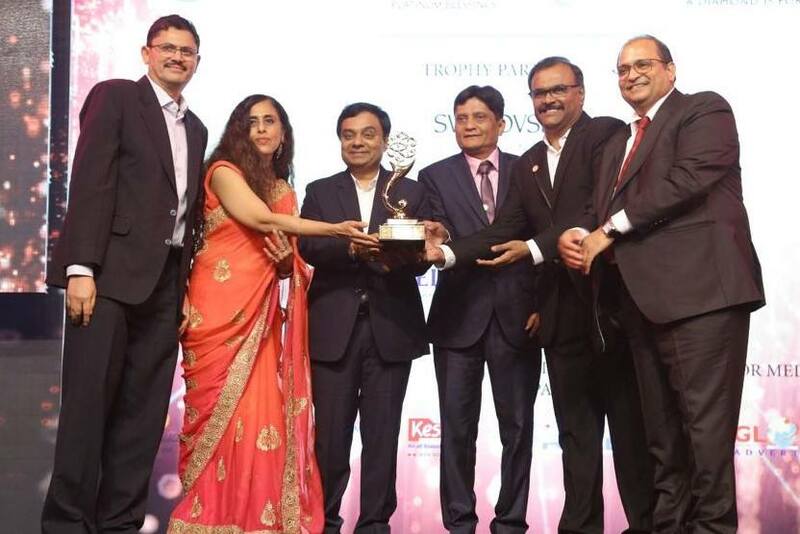 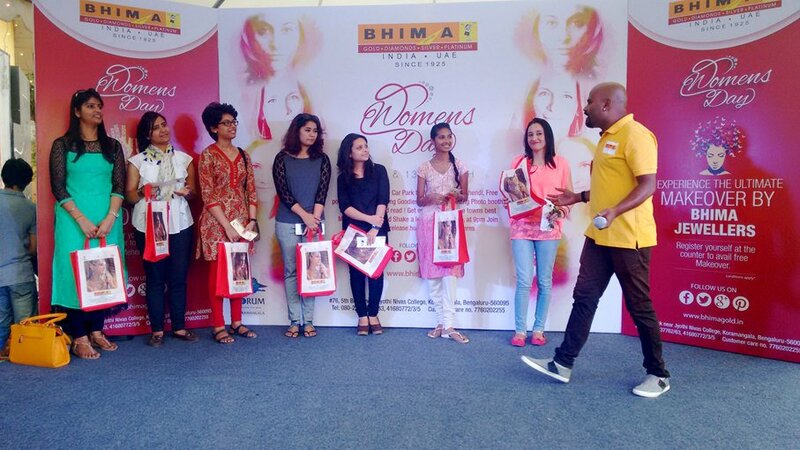 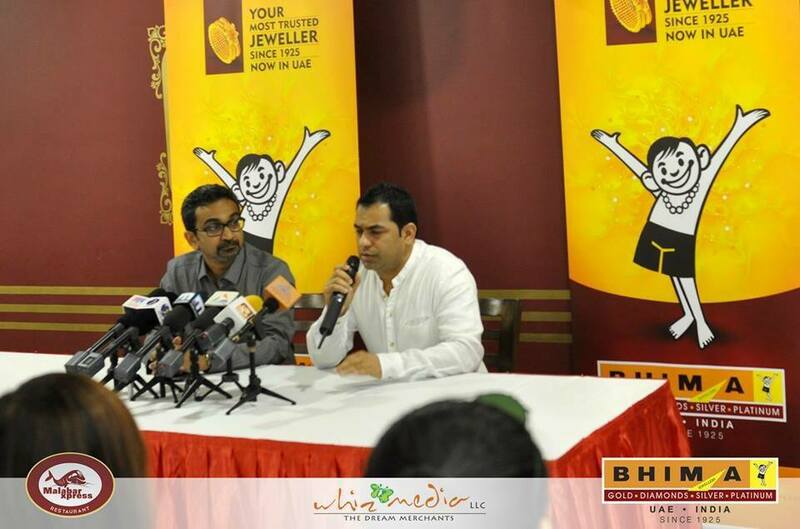 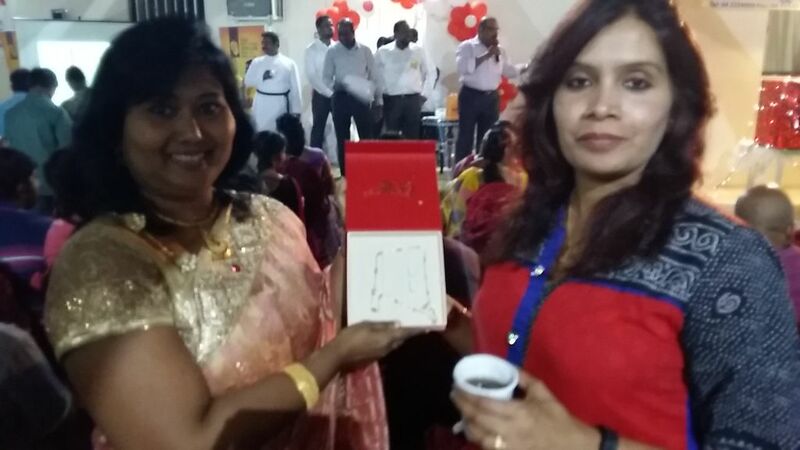 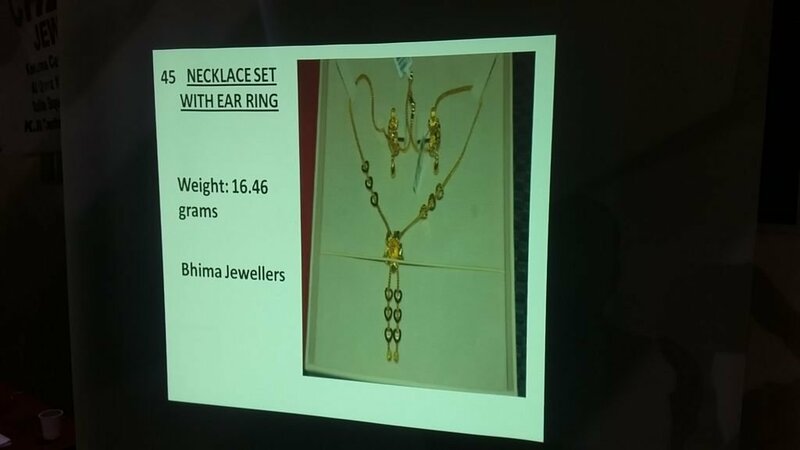 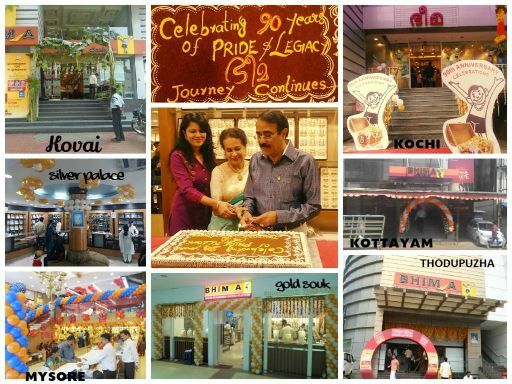 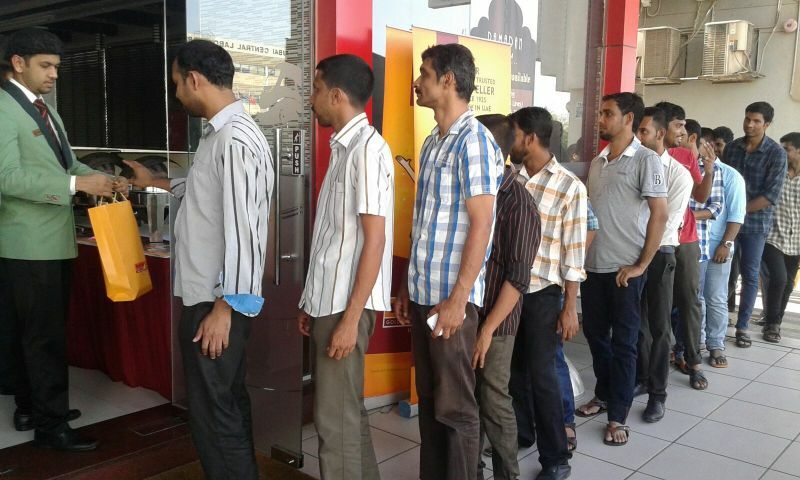 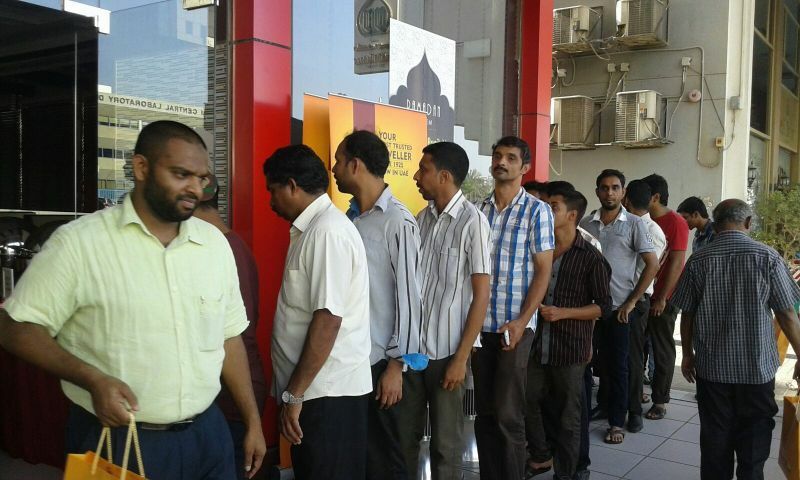 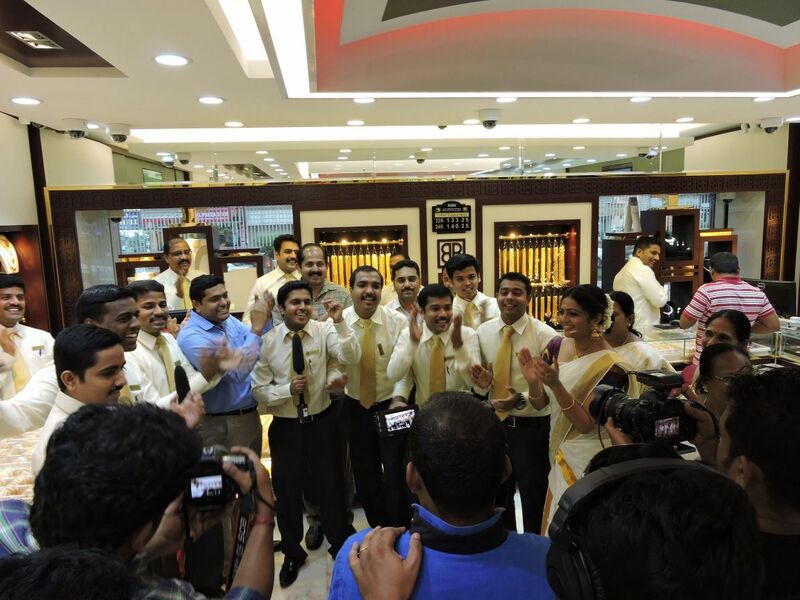 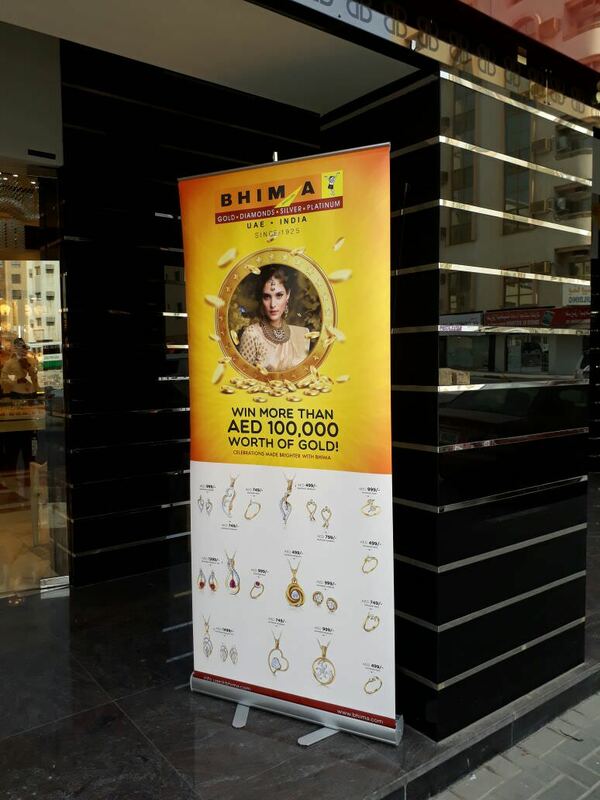 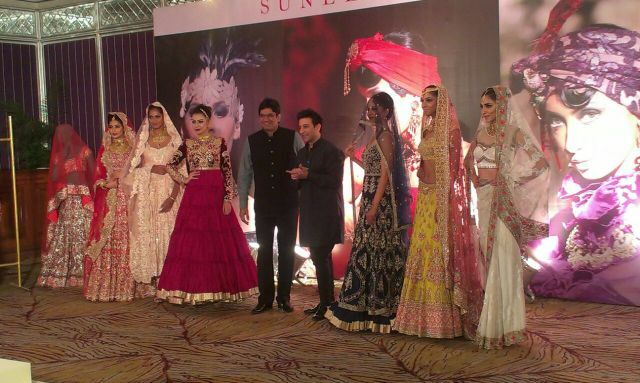 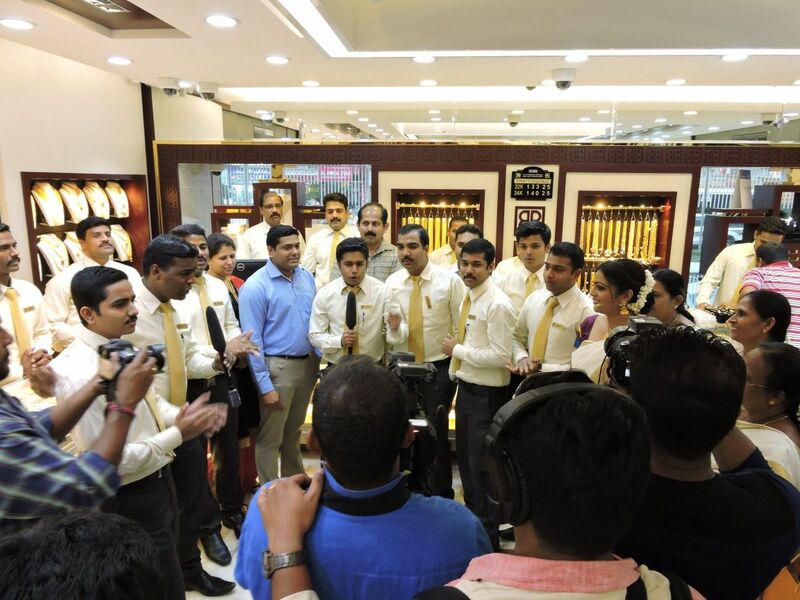 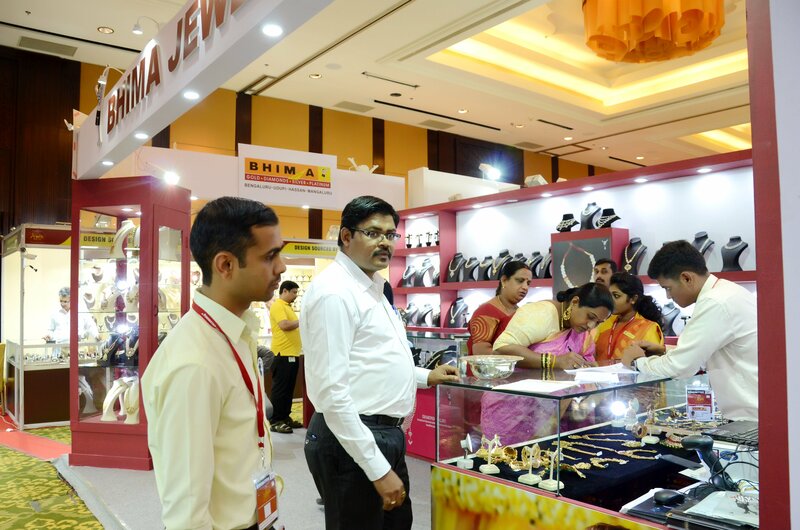 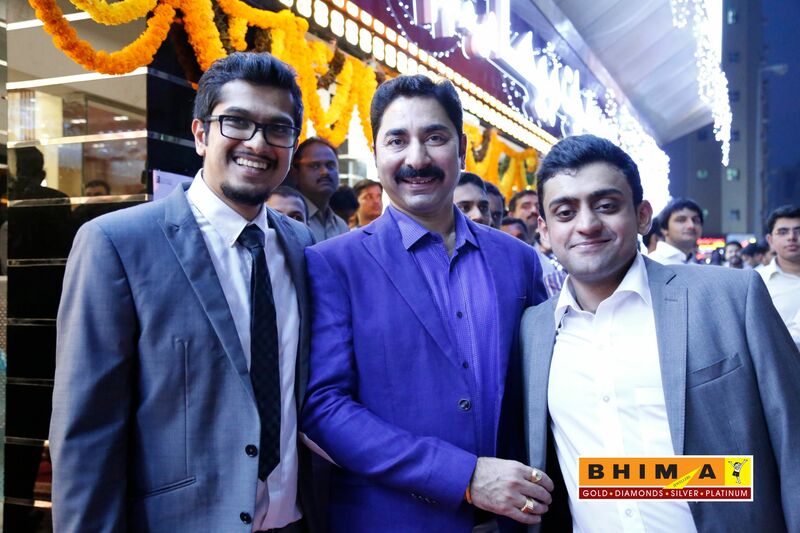 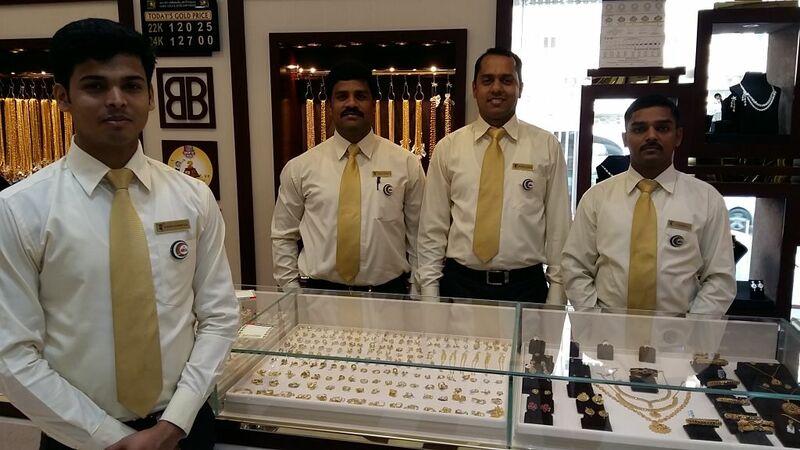 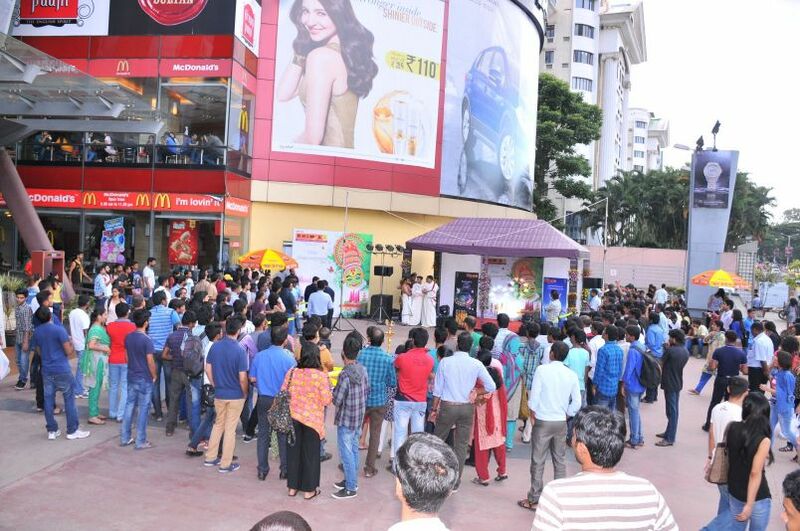 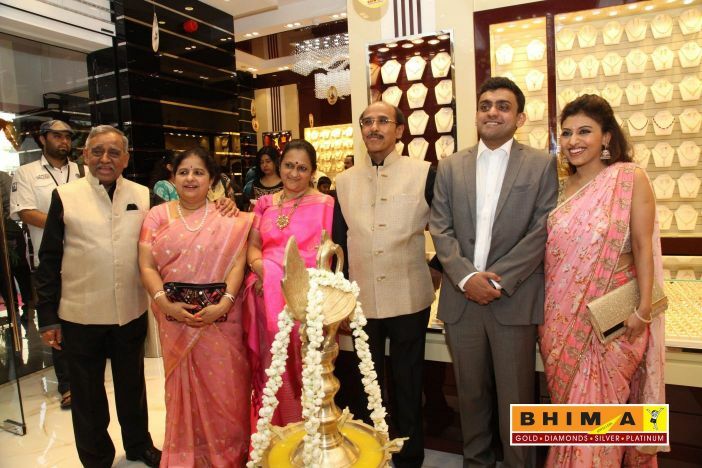 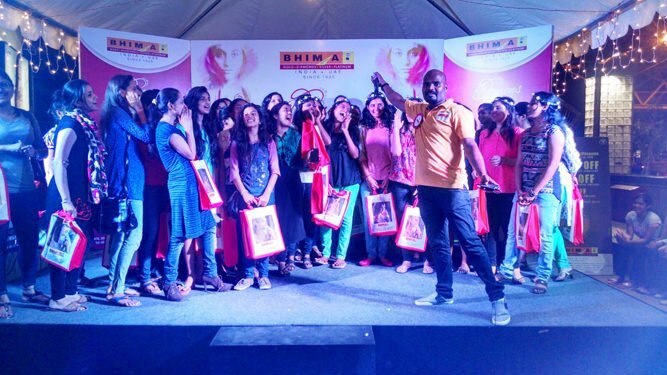 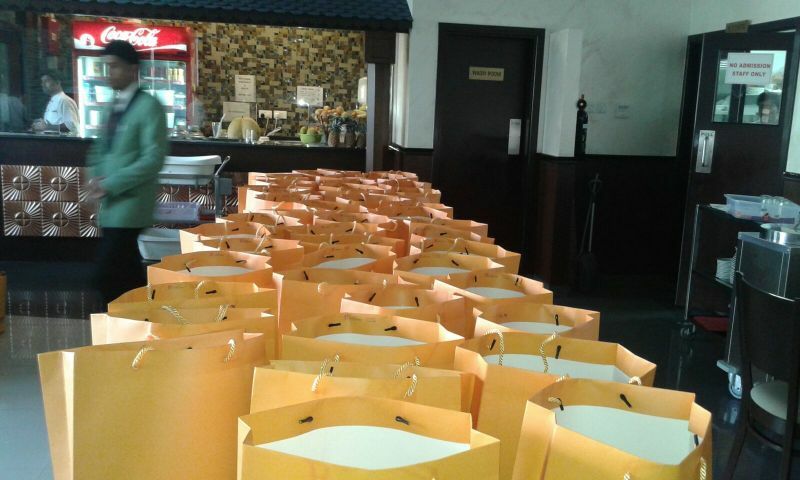 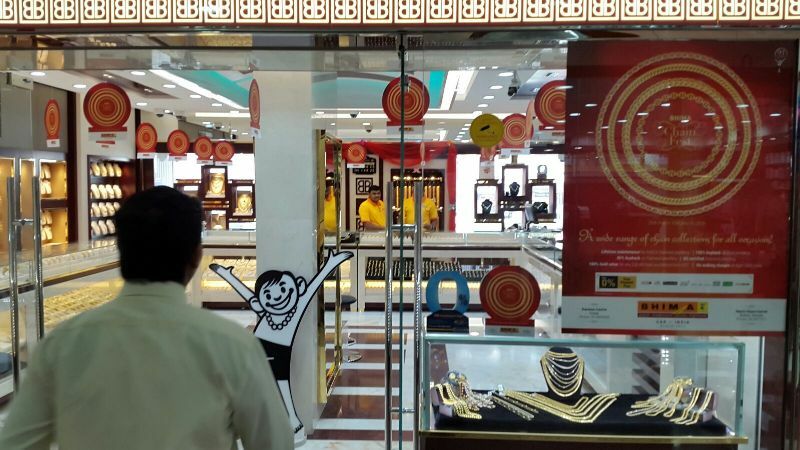 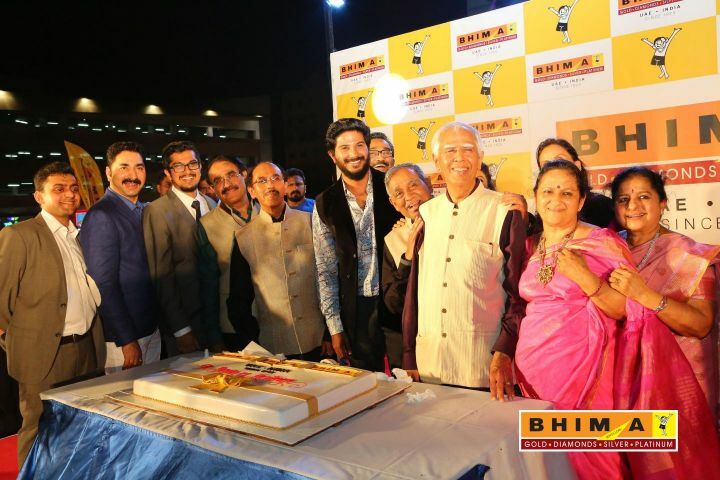 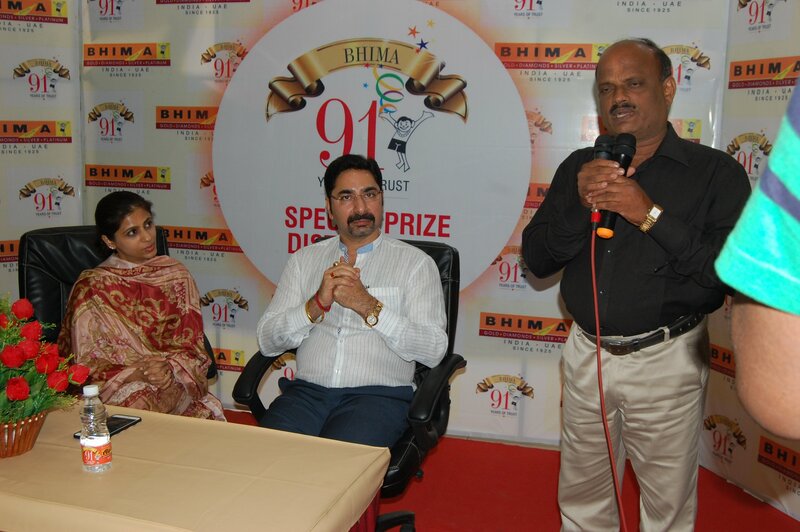 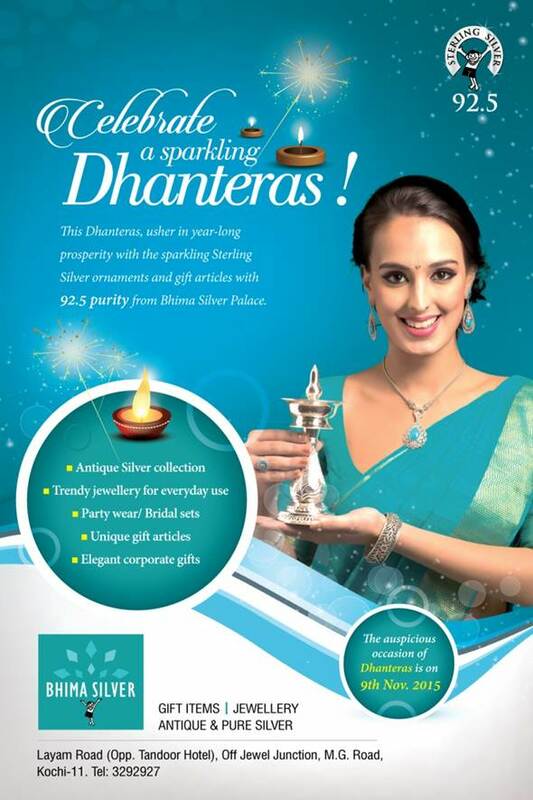 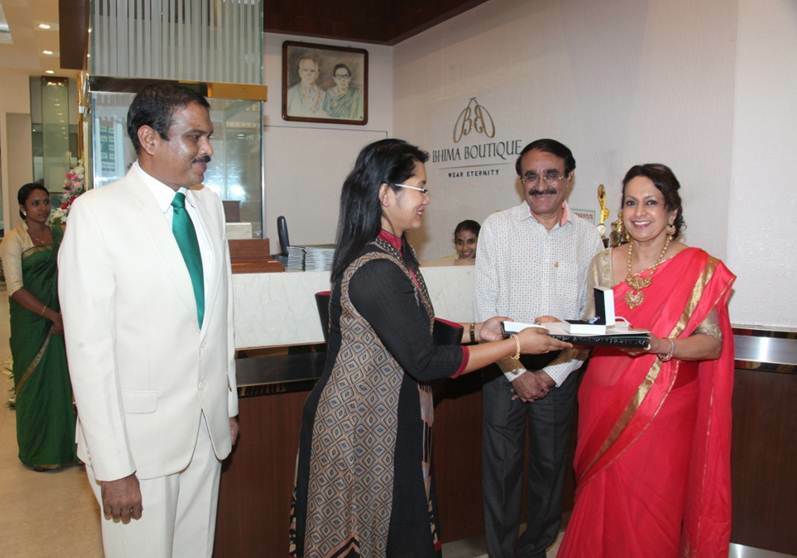 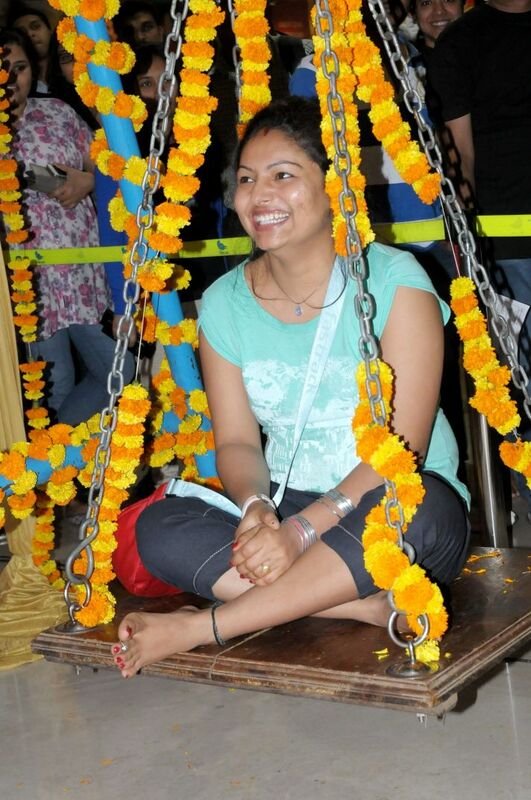 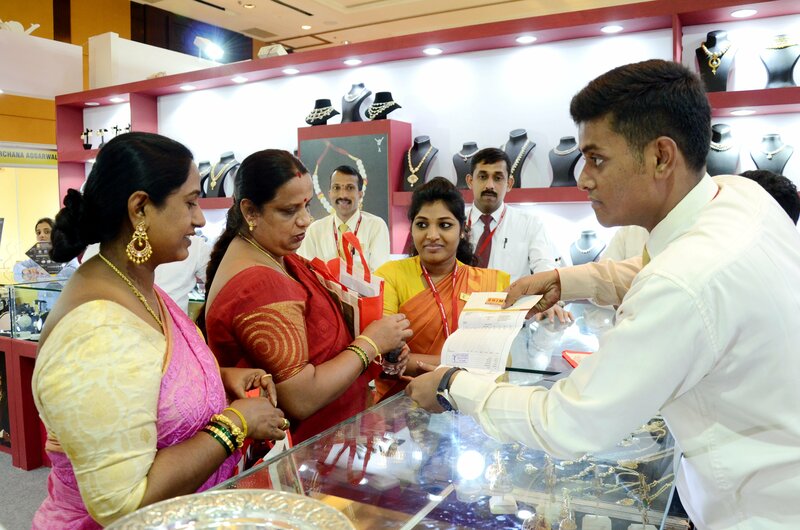 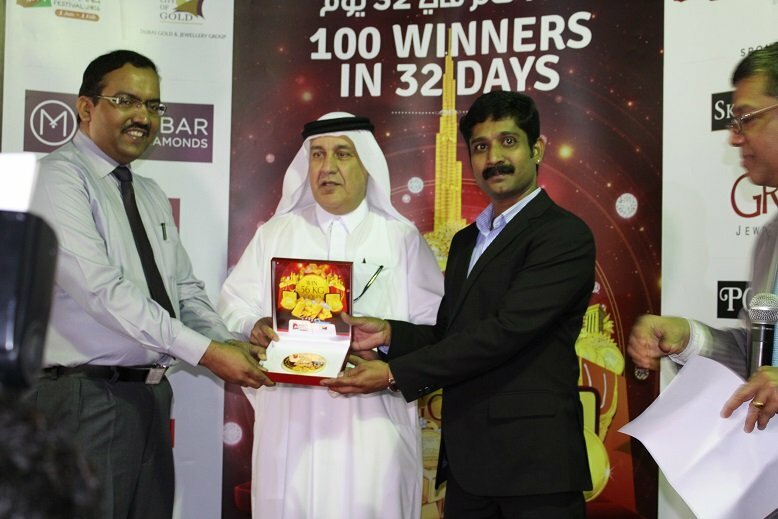 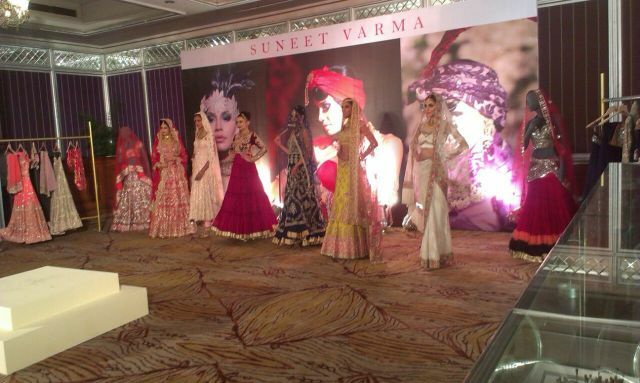 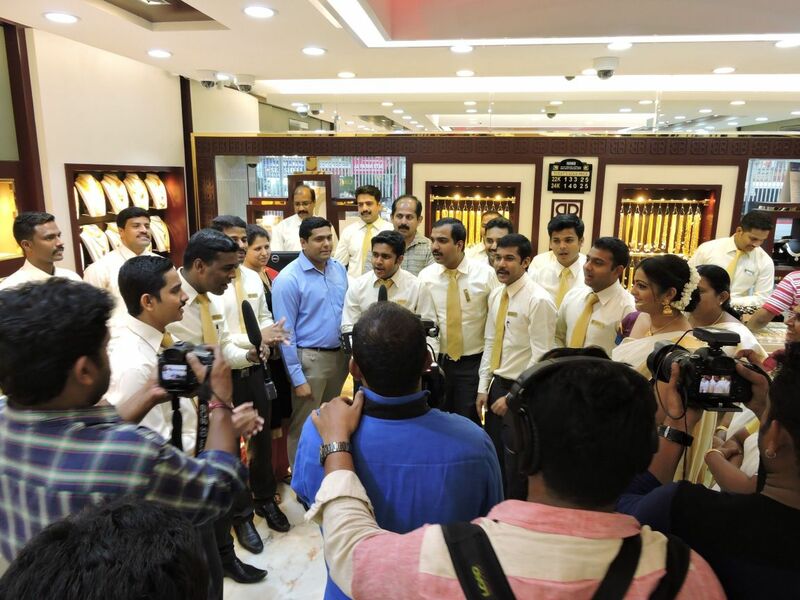 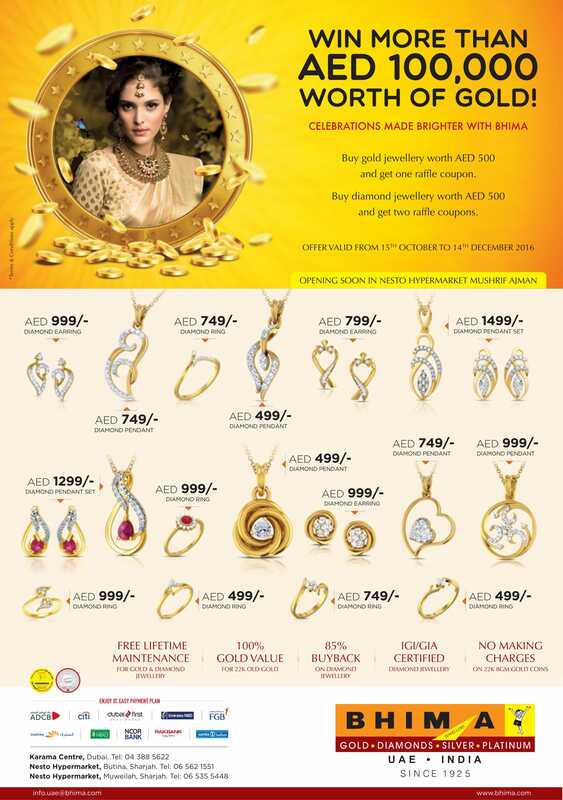 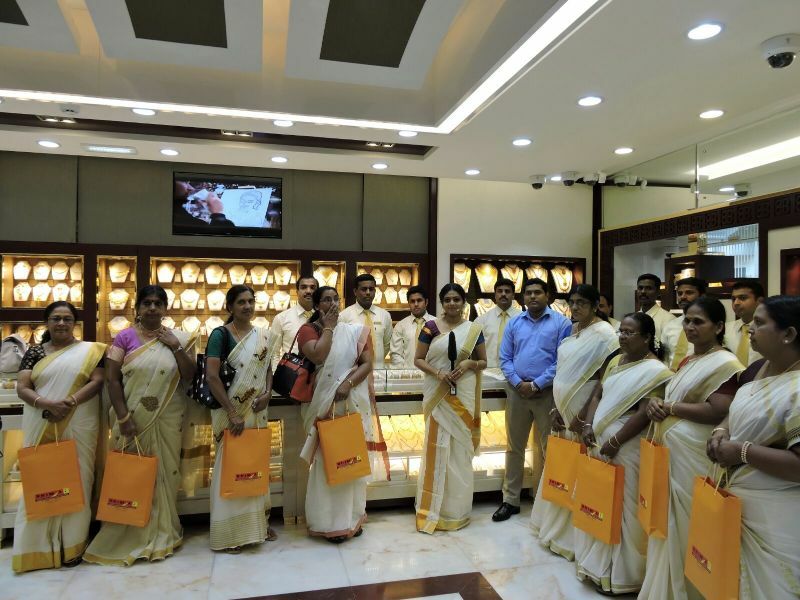 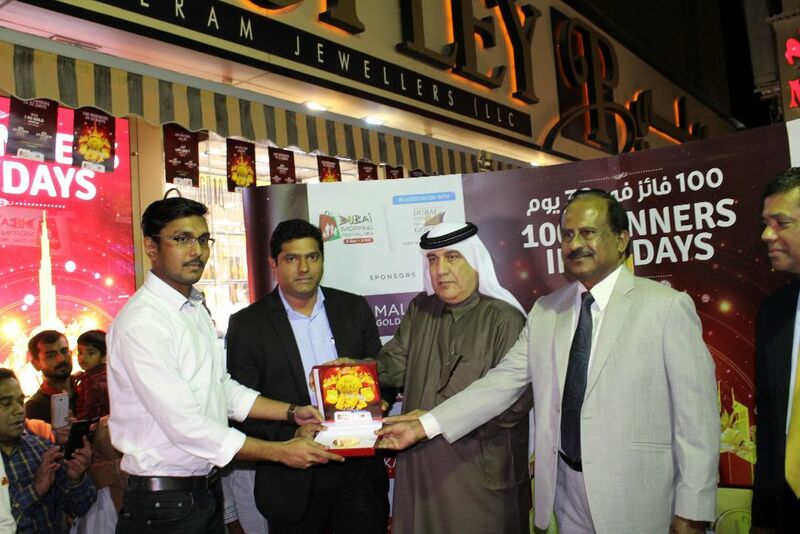 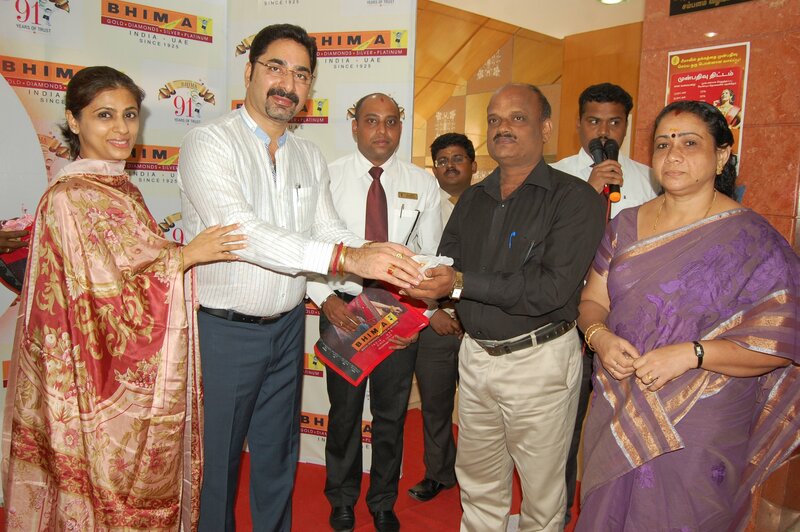 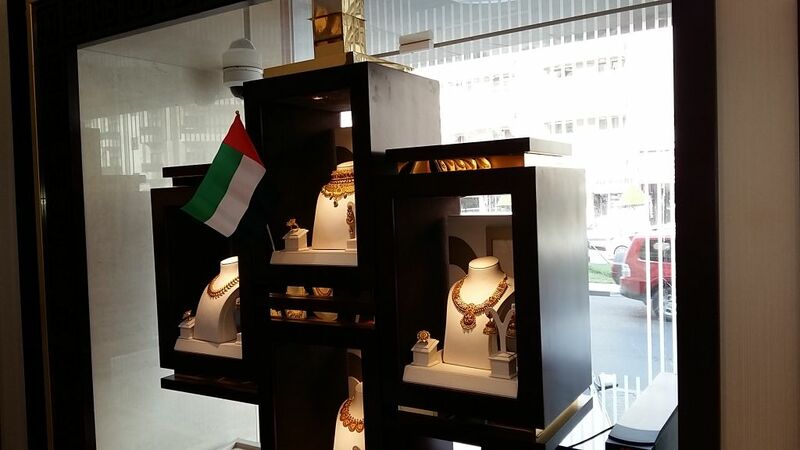 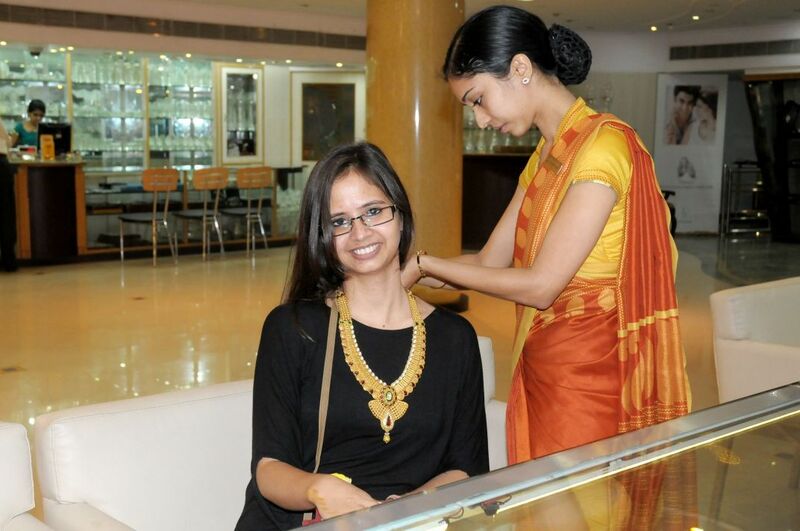 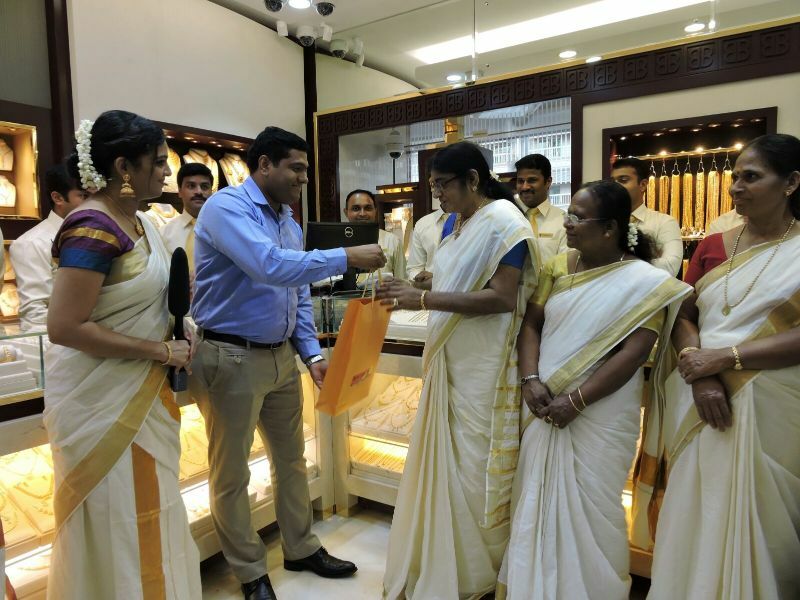 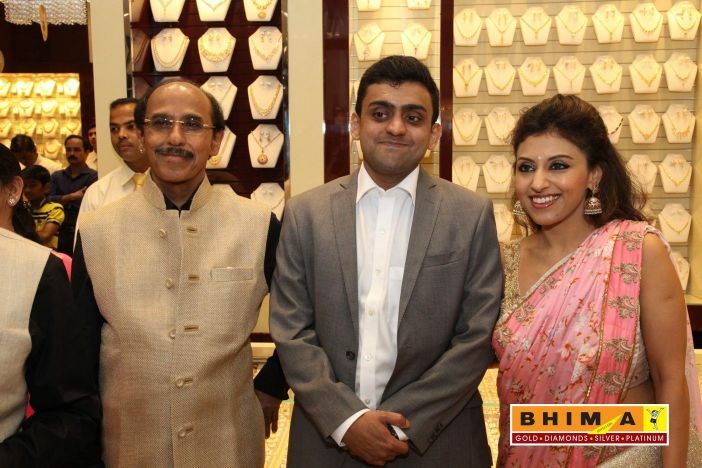 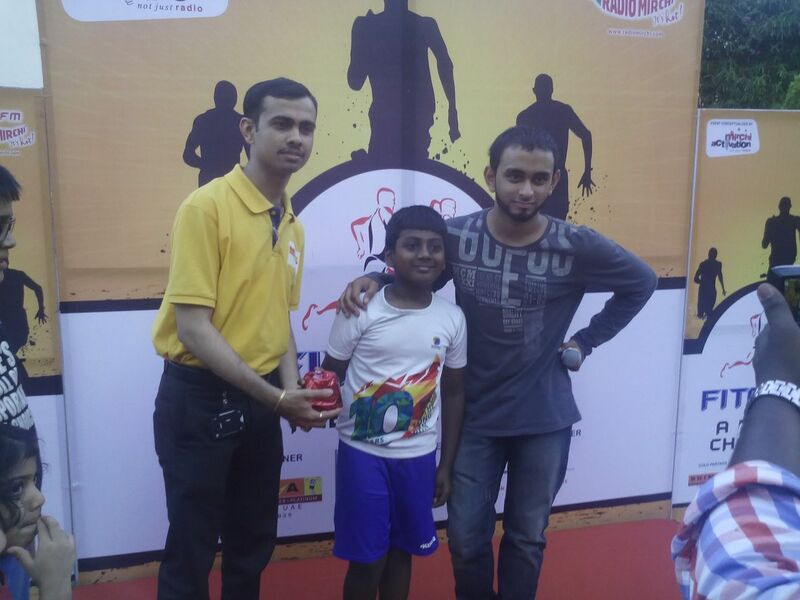 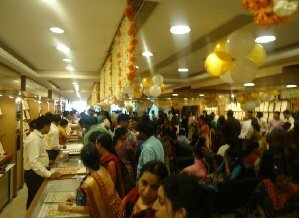 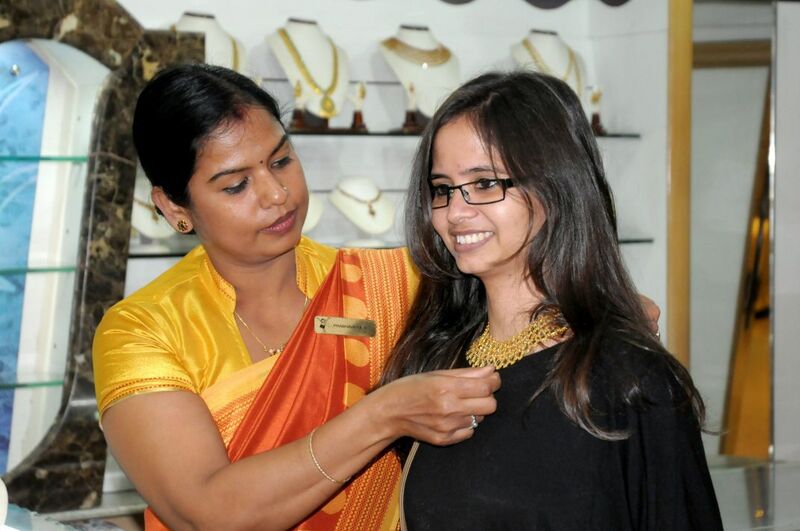 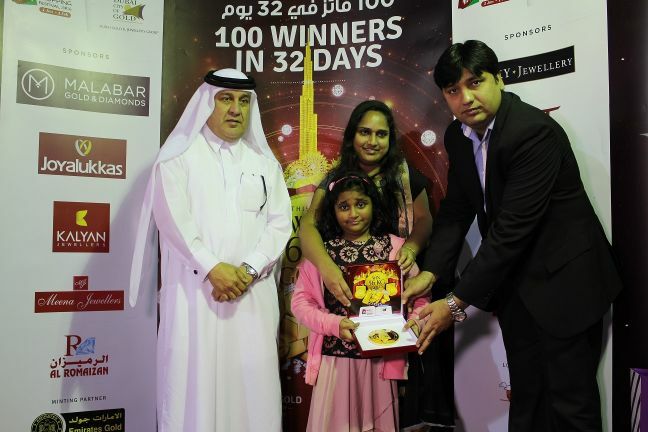 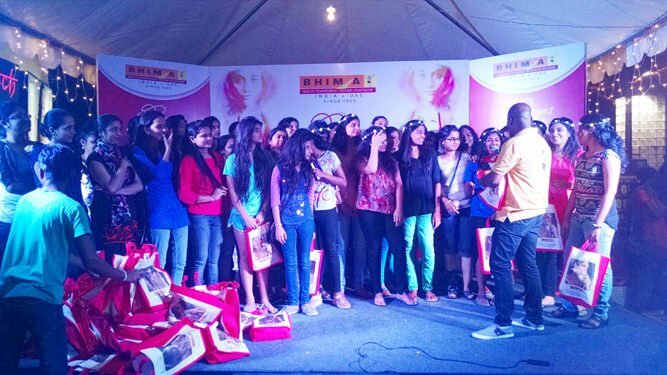 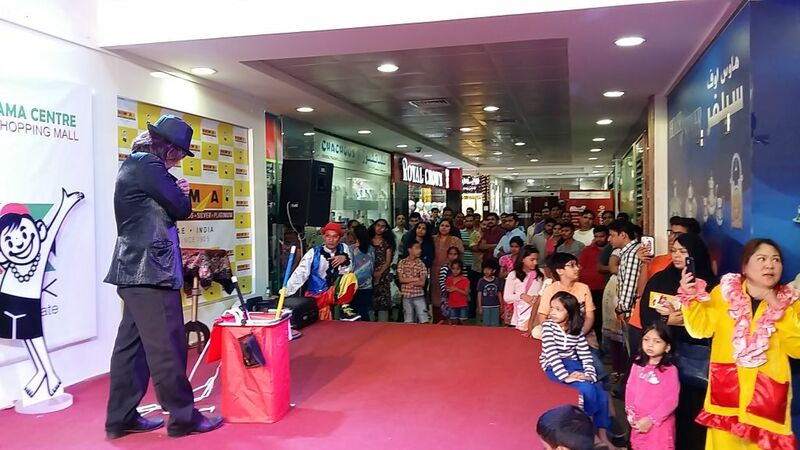 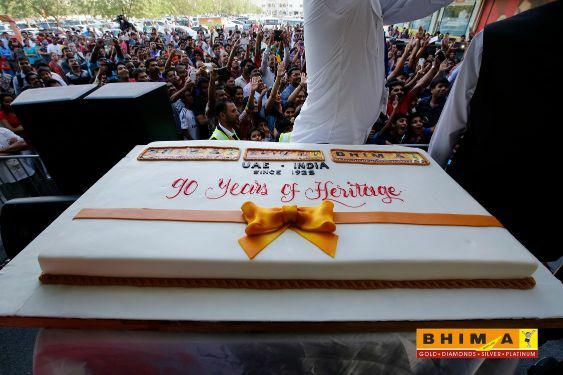 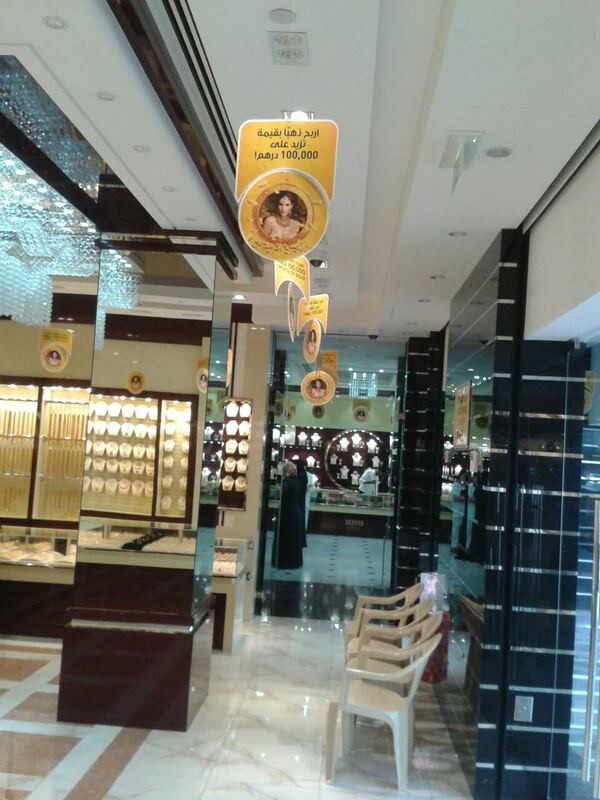 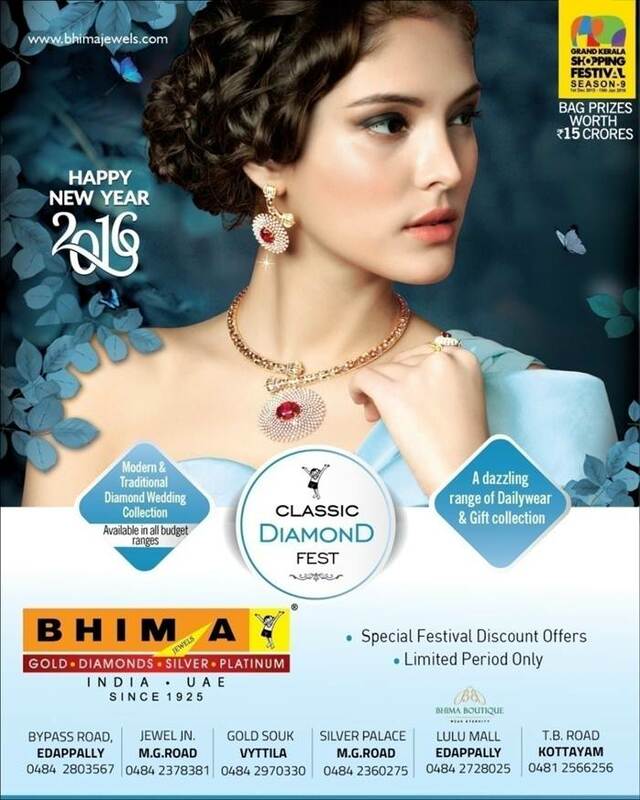 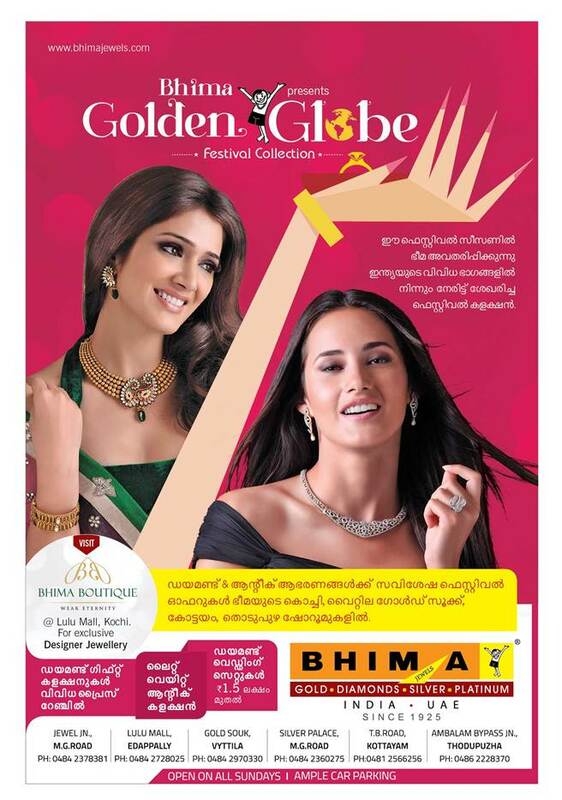 Bhima Jewellers (UAE) have announced the winner of Light and Delight Campaign . 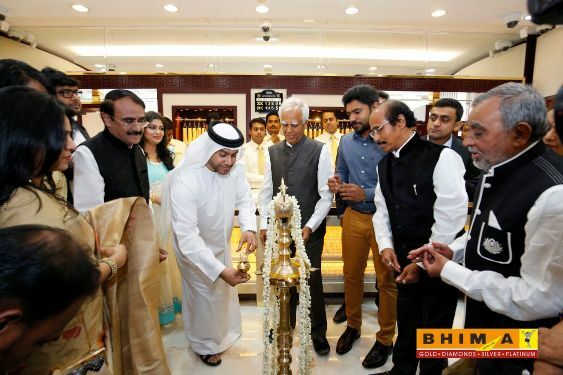 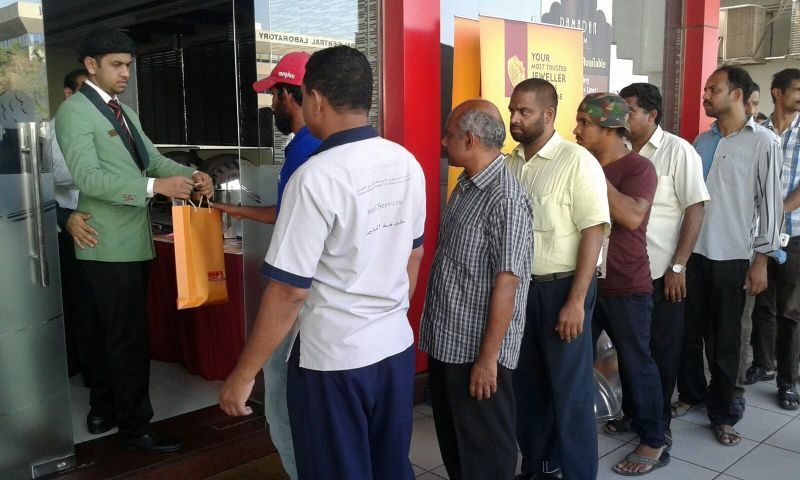 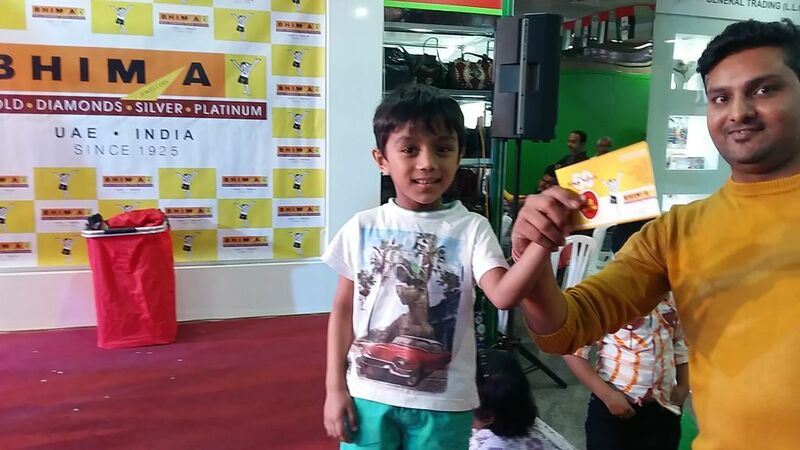 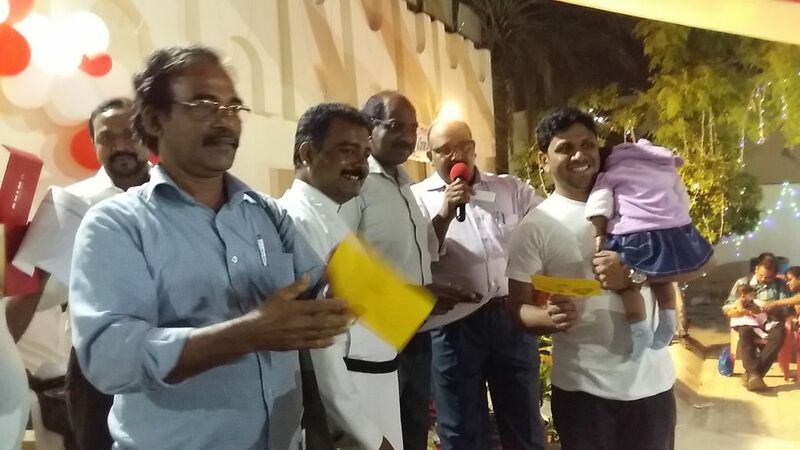 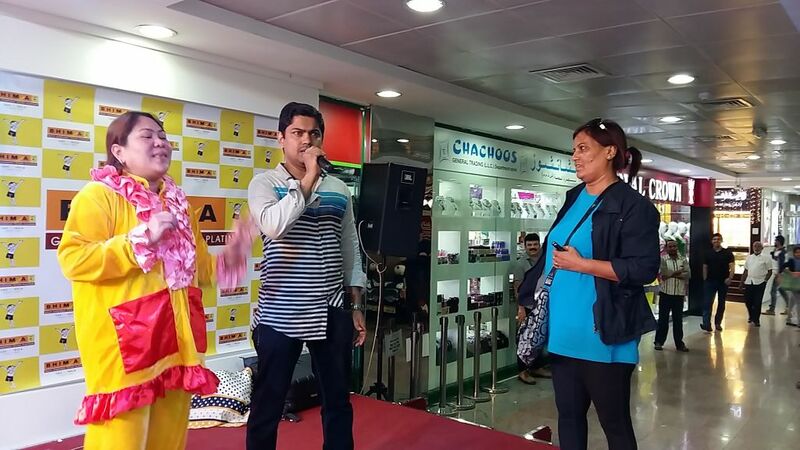 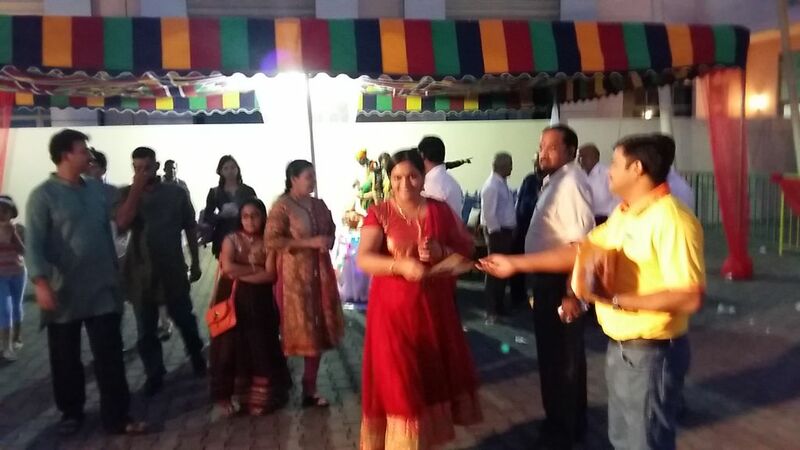 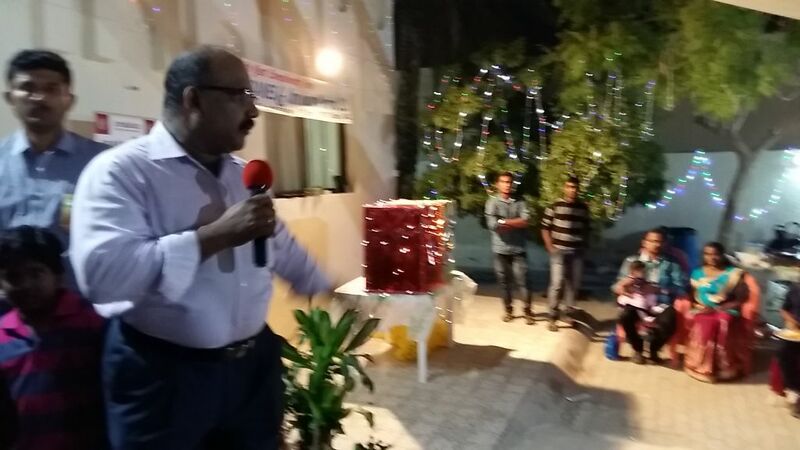 Mr. Prasoon Paleri, the lucky winner of Light and Delight campaign, was gifted a BMW car at a fun-filled event held at Bhima Jewellers showroom in Nesto Hypermarket, Mushrif Ajman. 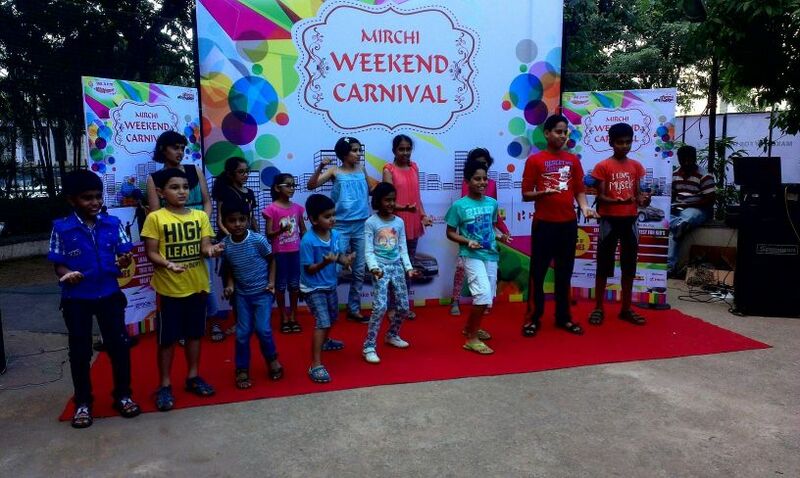 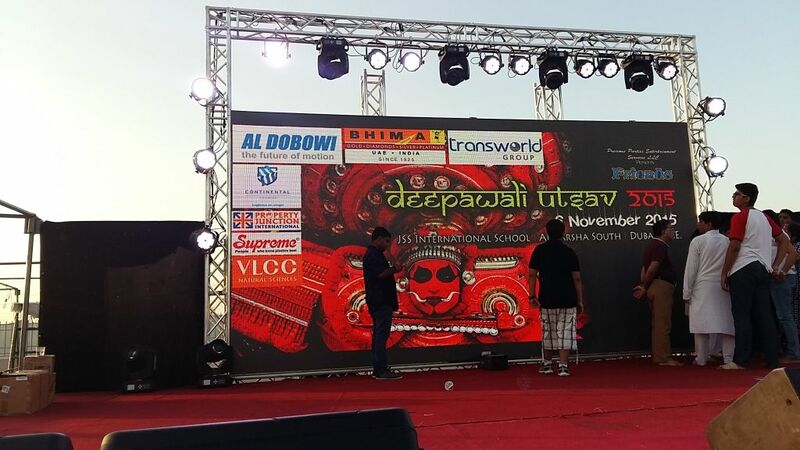 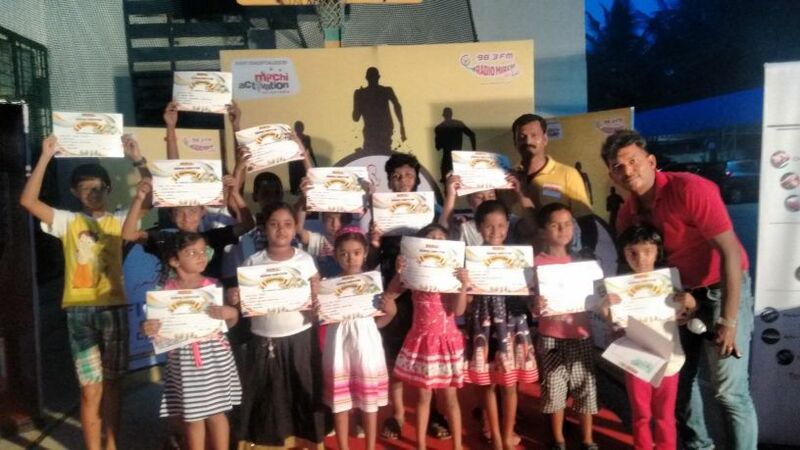 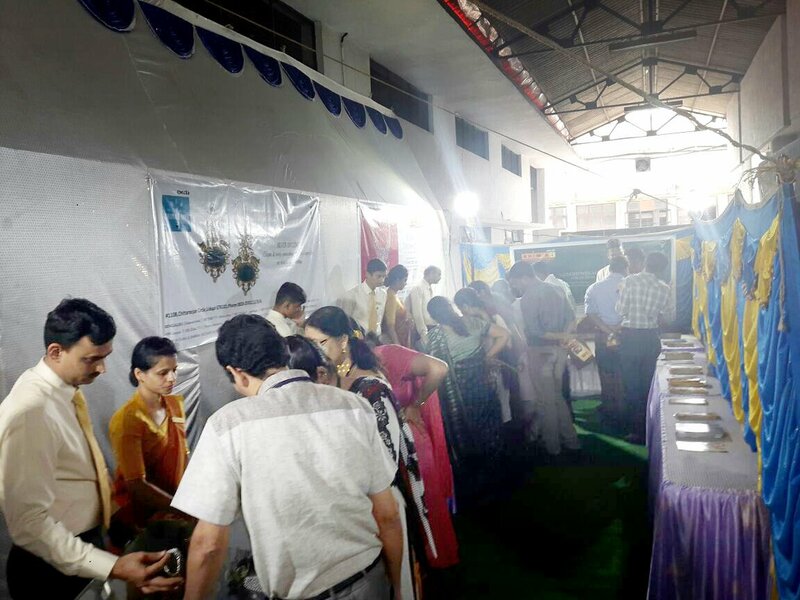 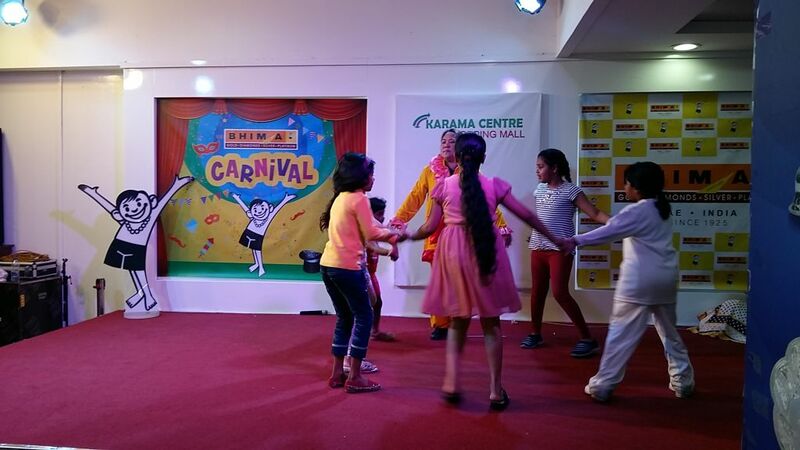 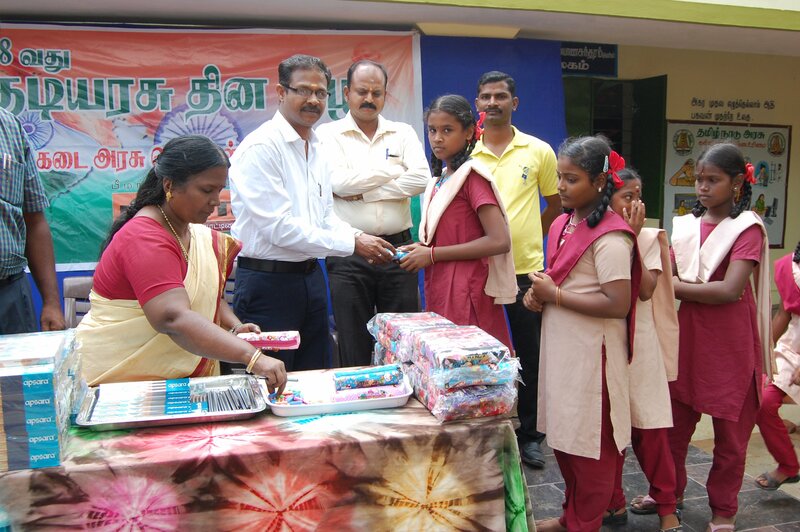 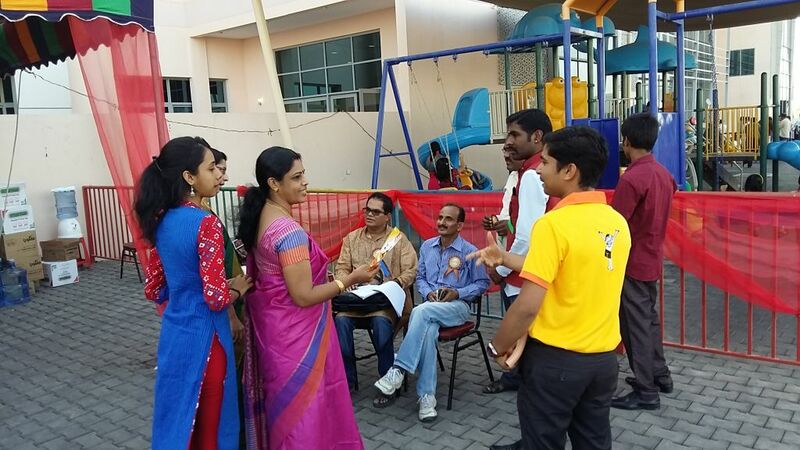 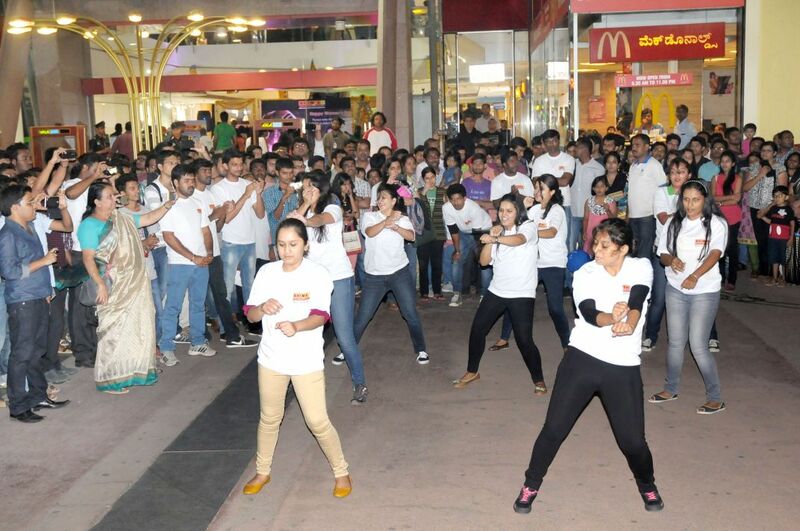 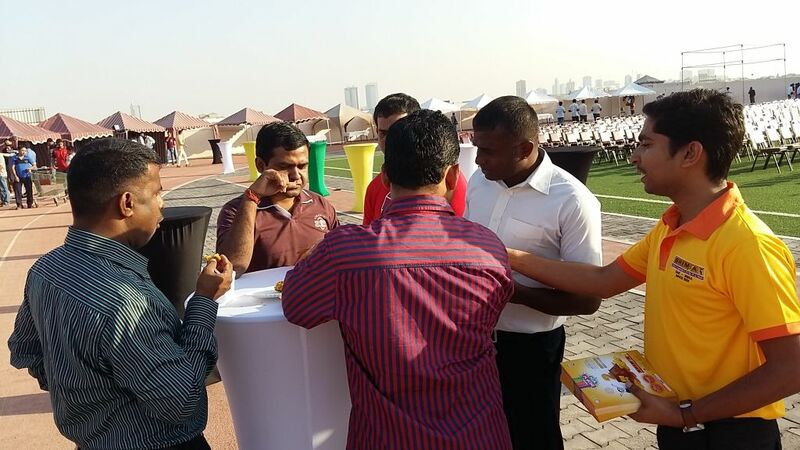 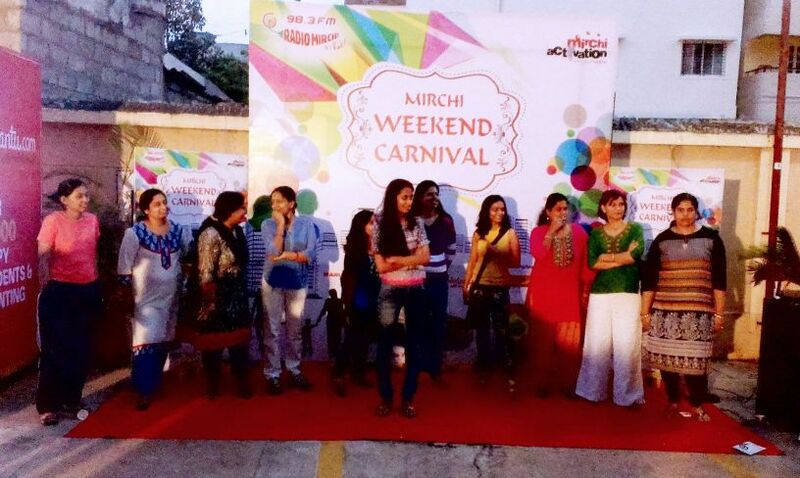 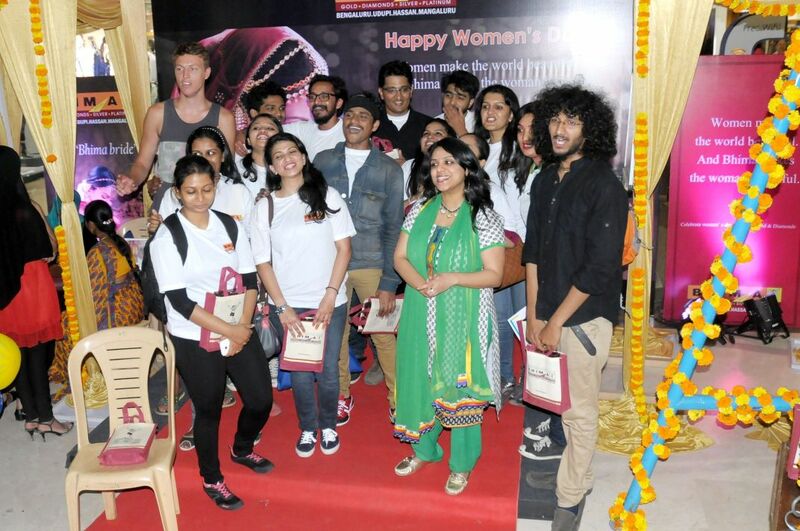 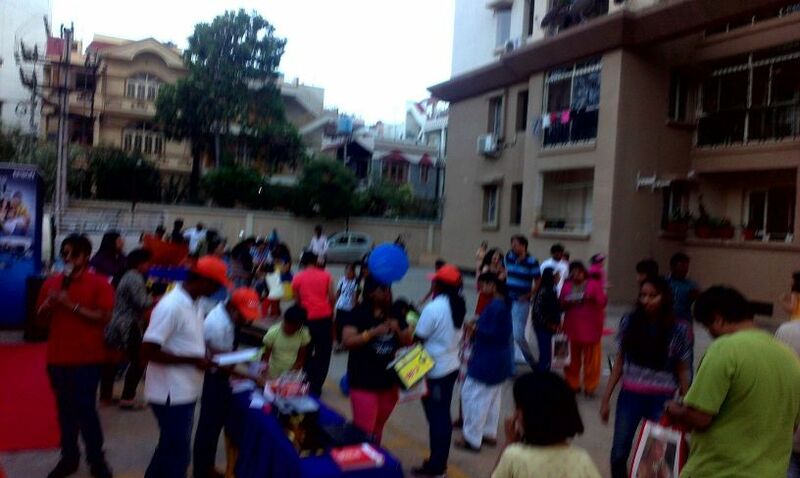 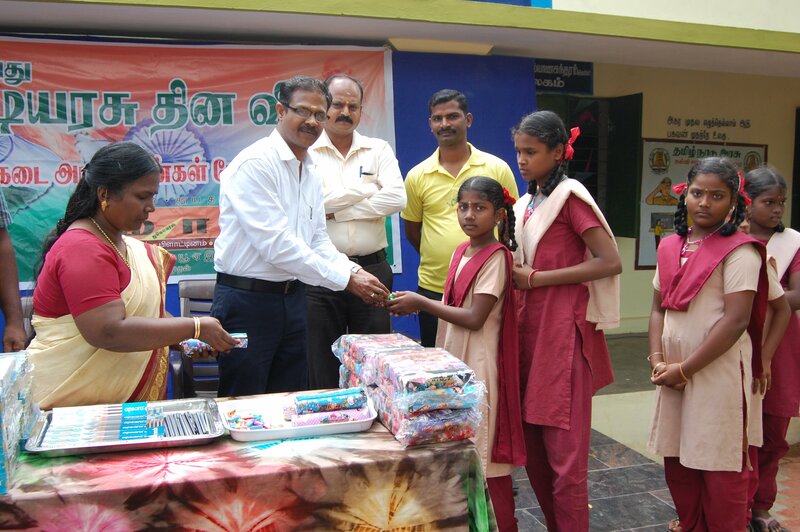 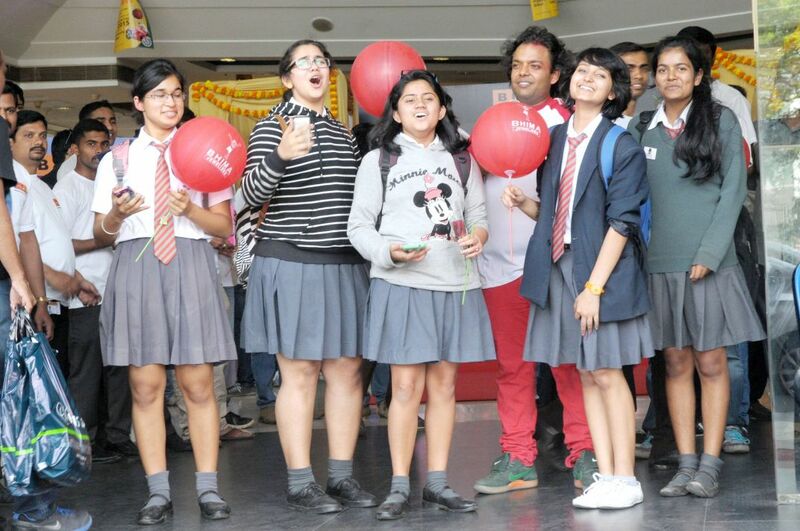 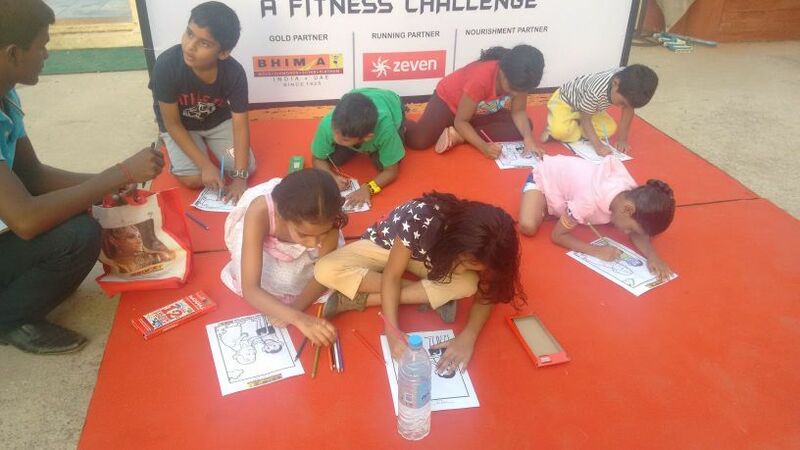 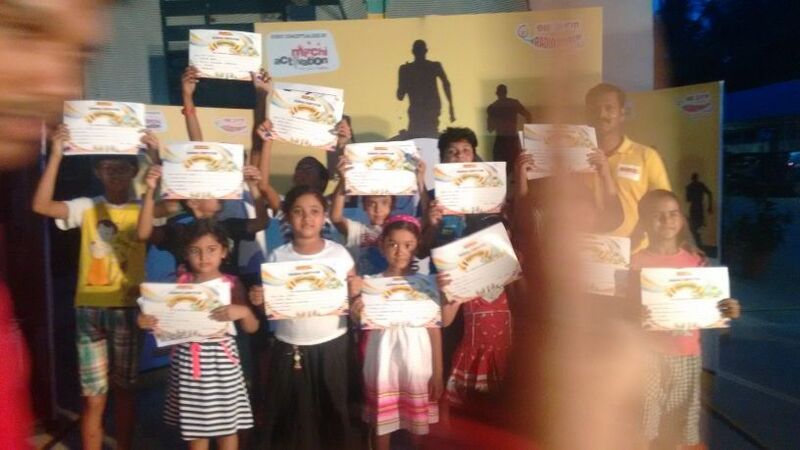 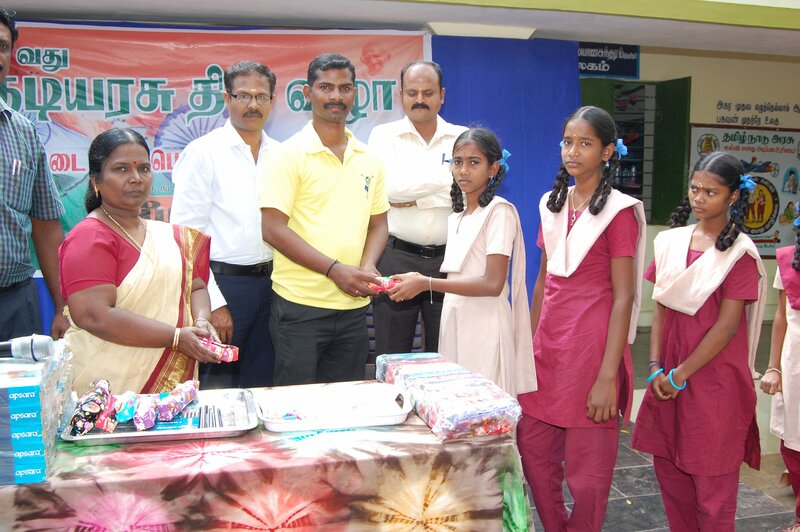 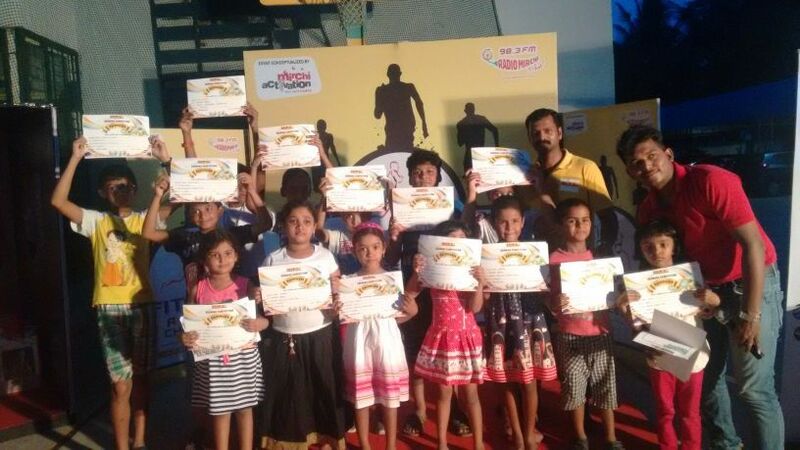 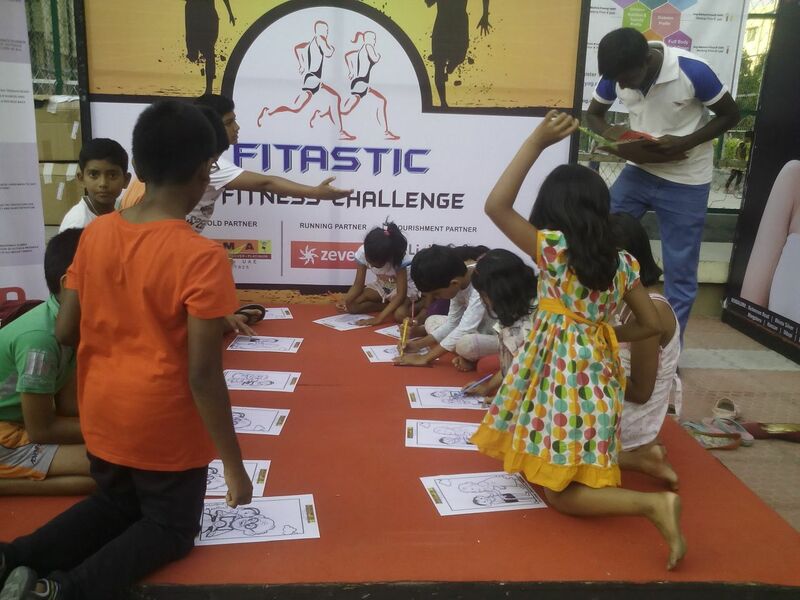 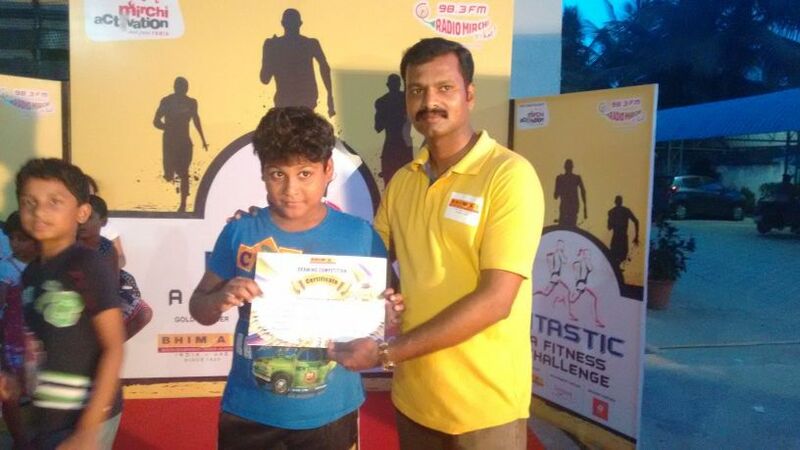 Guinness World Record for imparting self care lessons to 2886 students at a single venue. 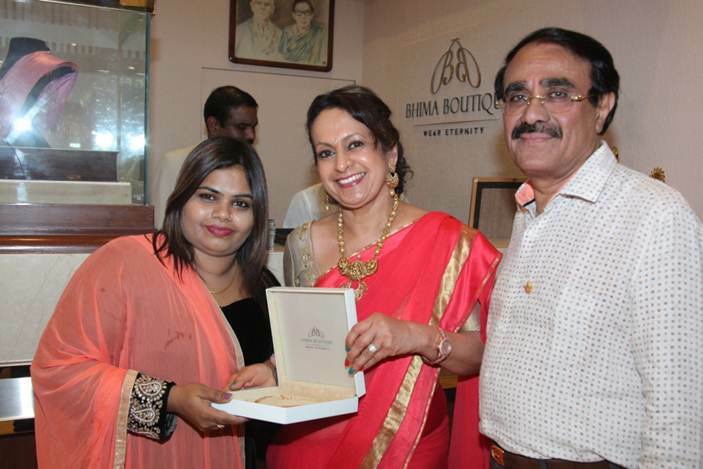 Guinness Adjudicator Mr. Swapnil Dangarikar delivered the Guinness Certification to Bhima Group Chairman Dr. B Govindan after Bhima Jewellers bagged the new Guinness World Record for imparting self care lessons to 2886 students at a single venue. 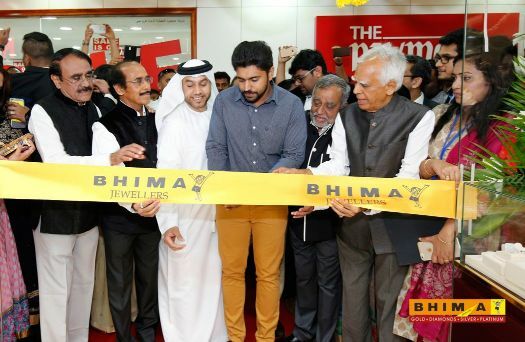 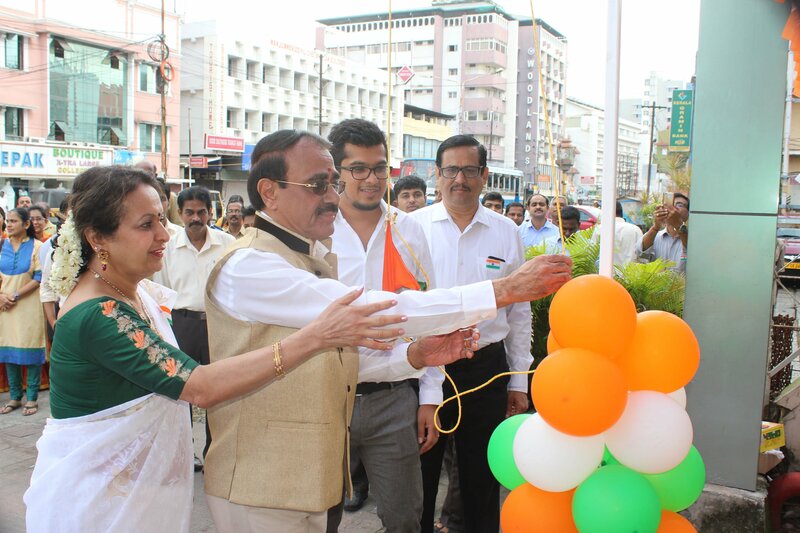 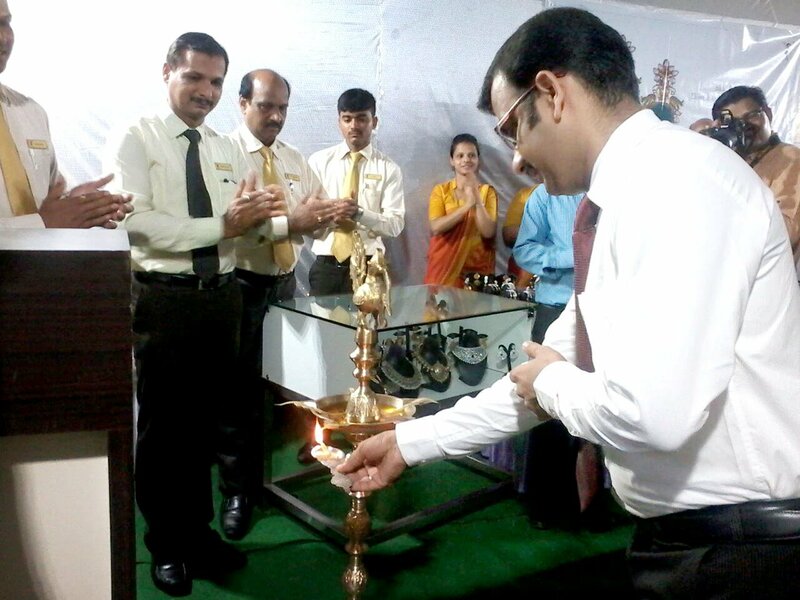 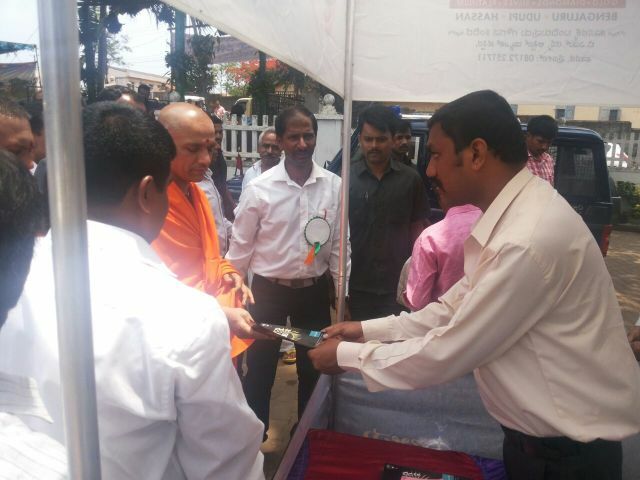 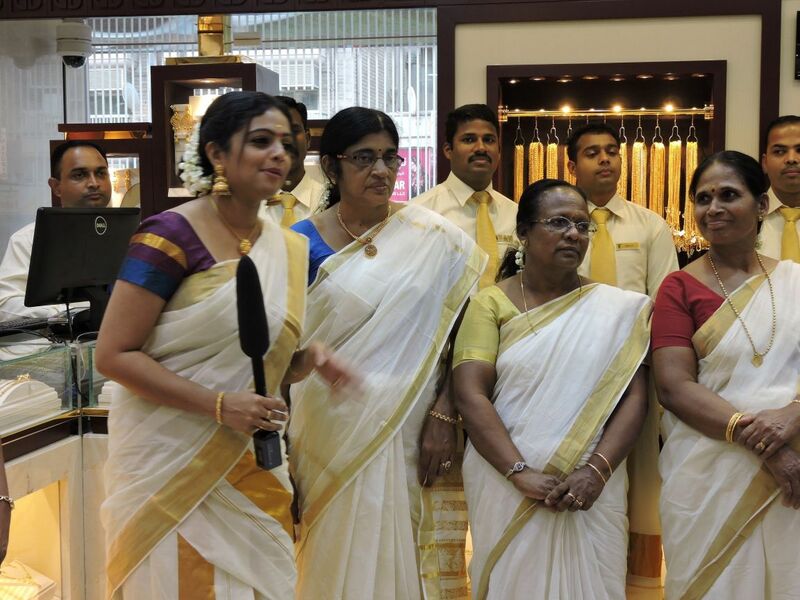 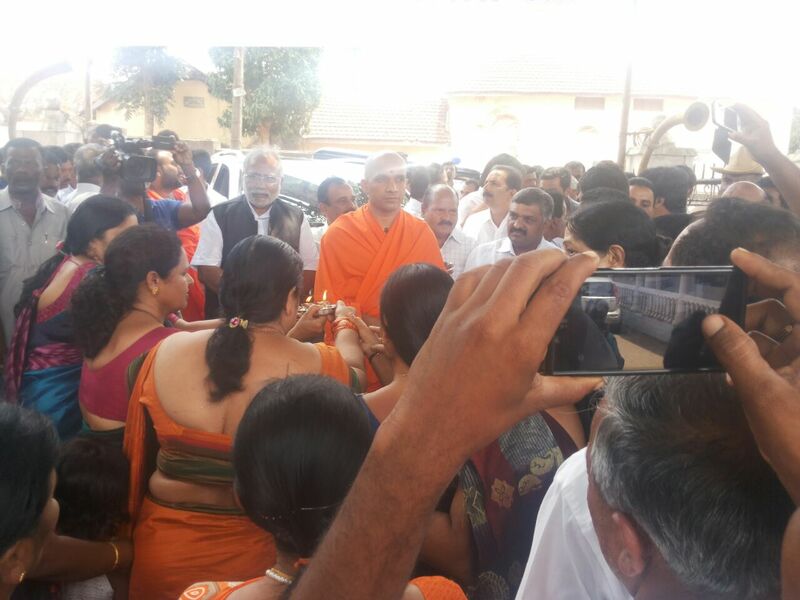 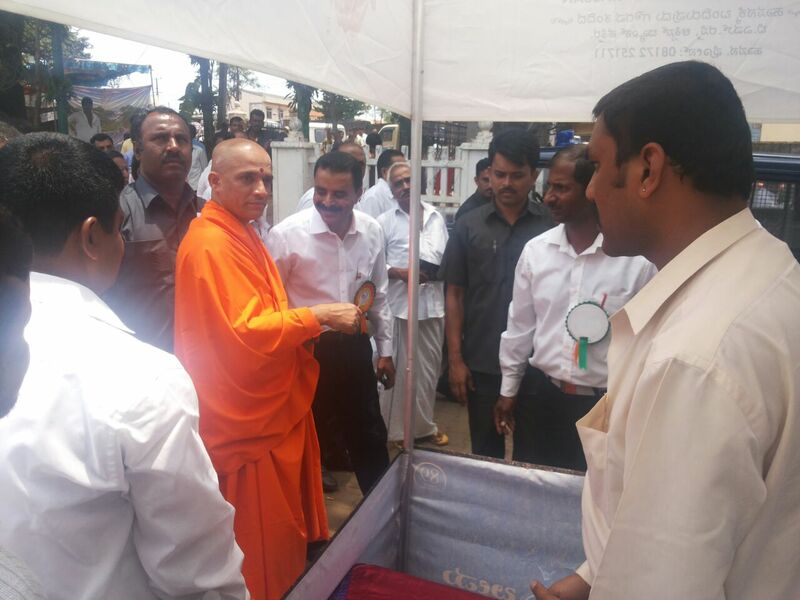 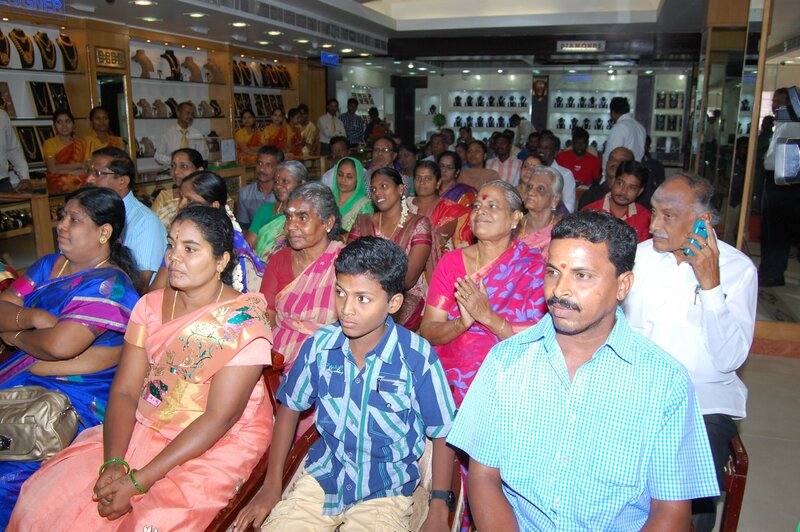 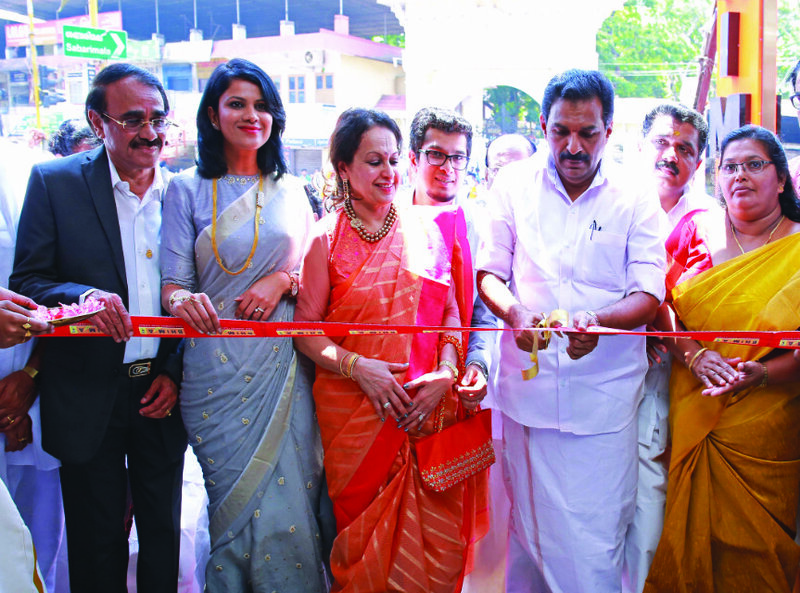 Pathanamthitta MP Mr. Anto Antony inaugurated Bhima Jewels' showroom in Thiruvalla. 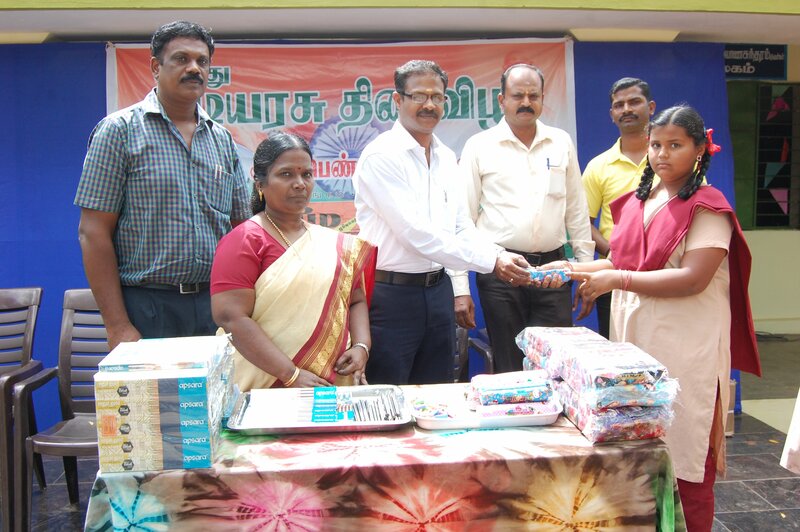 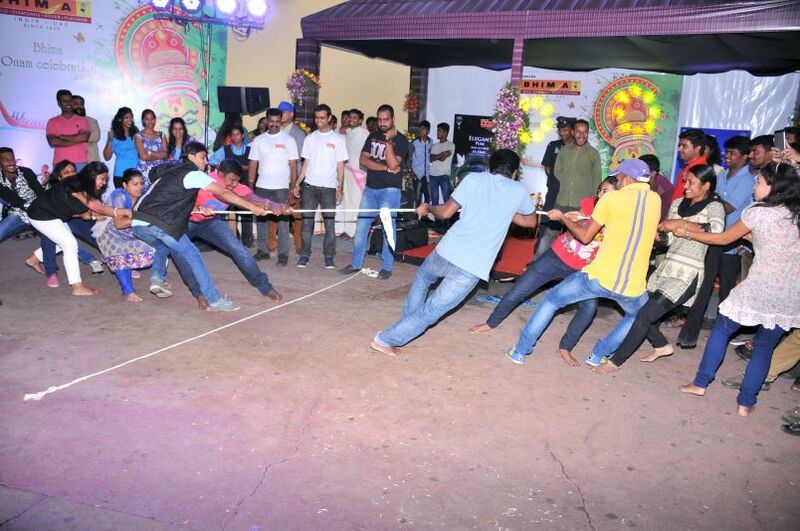 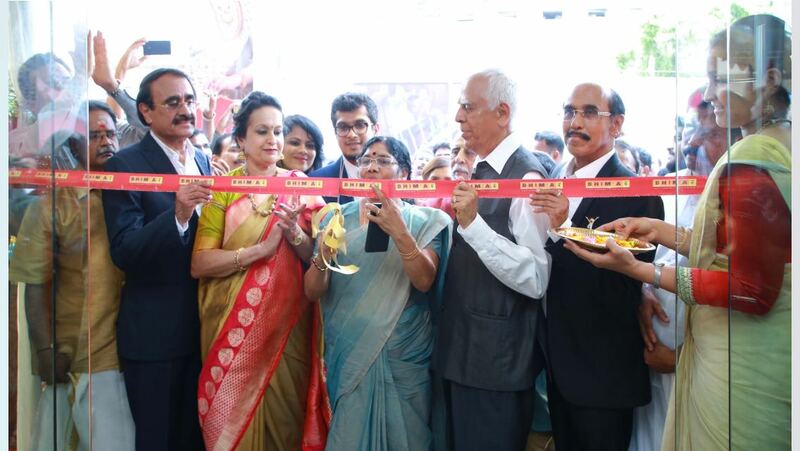 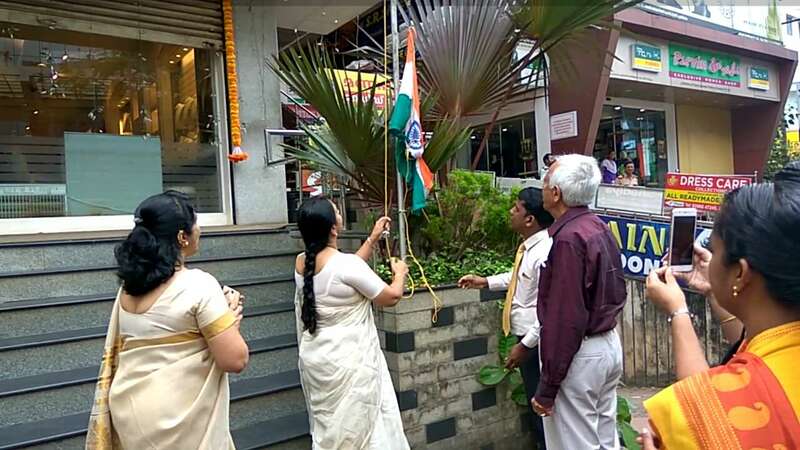 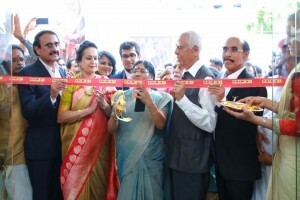 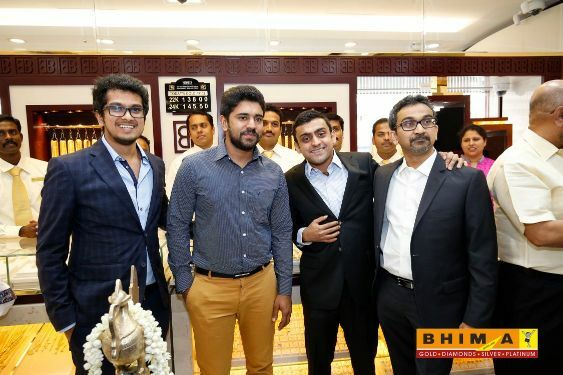 Present on the occasion were Mr. K V Varghese (Municipal Chairperson), Mr. B Bindumadhav ( Managing Director, Bhima Jewels), Ms. Sarojini Bindumadhav (Managing Partner, Bhima Jewels), Mr. Abhishek Bindumadhav (Director, Bhima Jewels) and Ms. Akshata Bindumadhav (Director, Bhima Jewels). 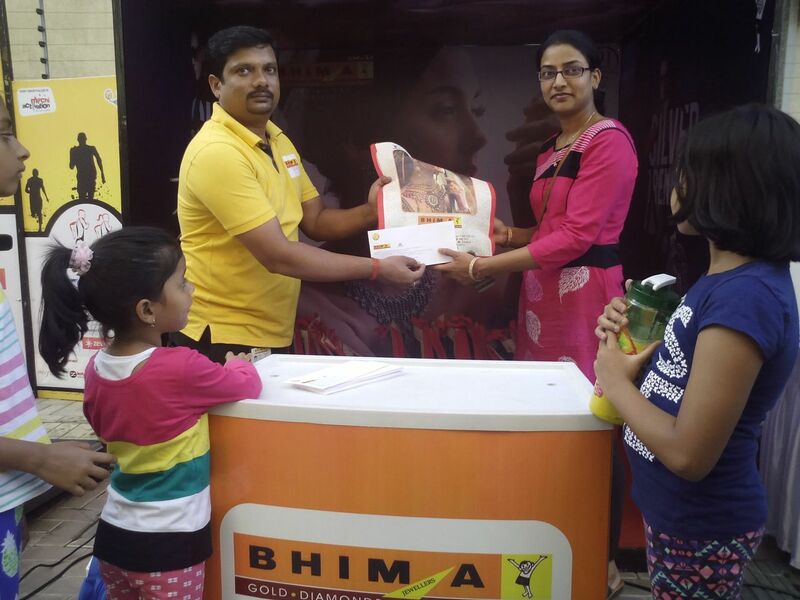 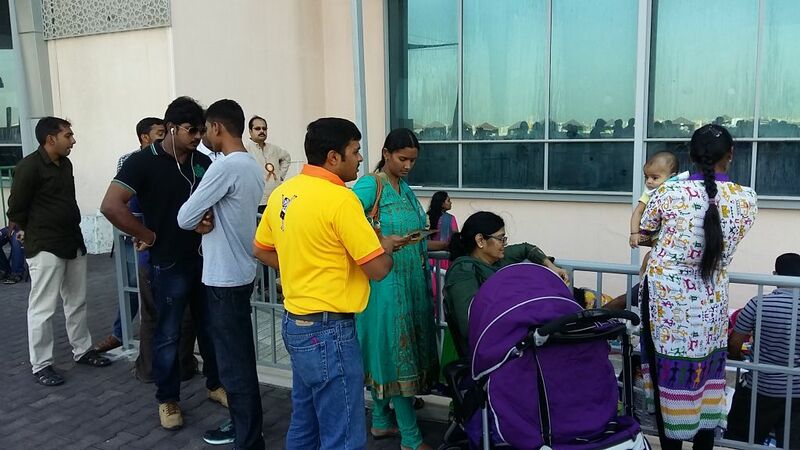 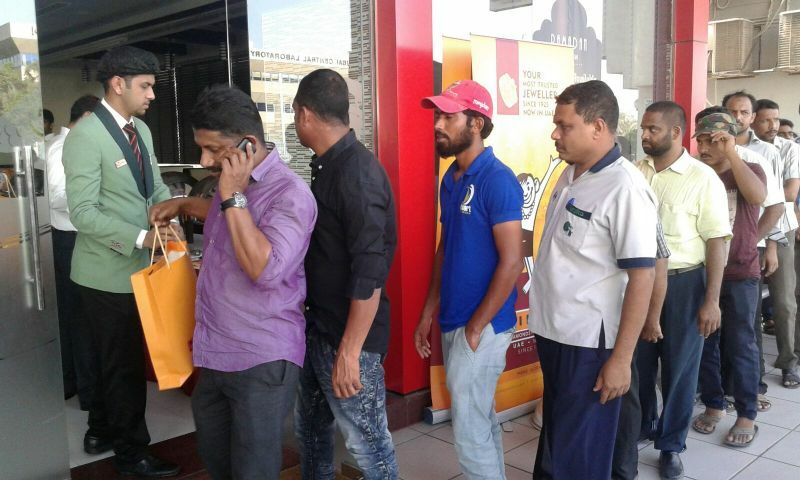 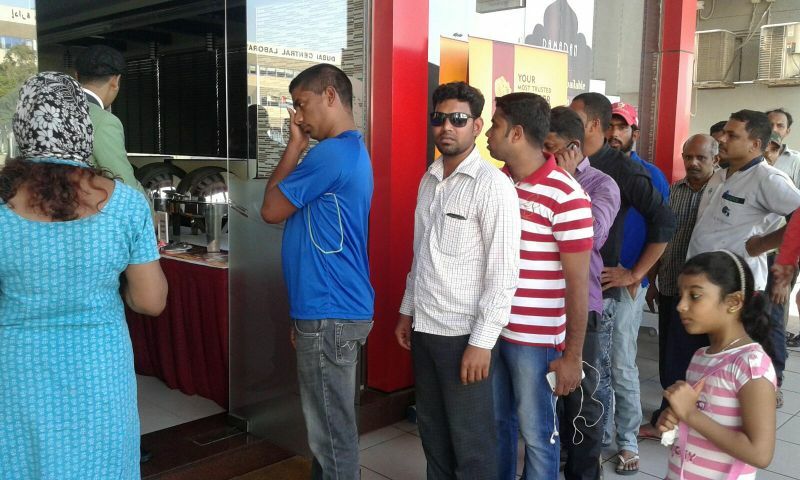 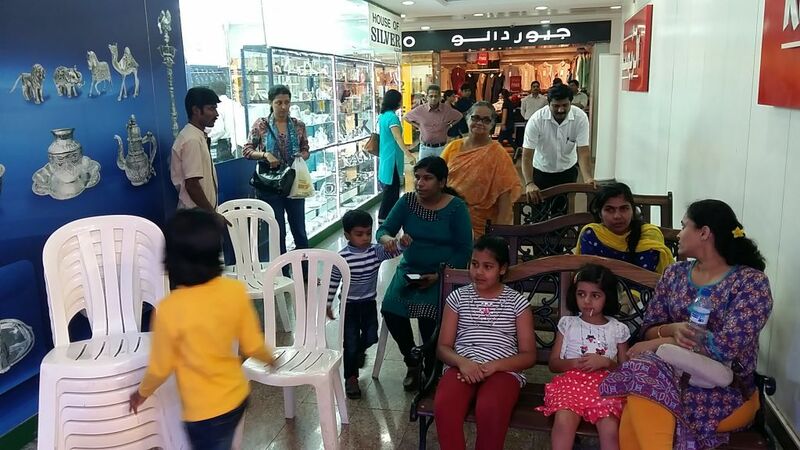 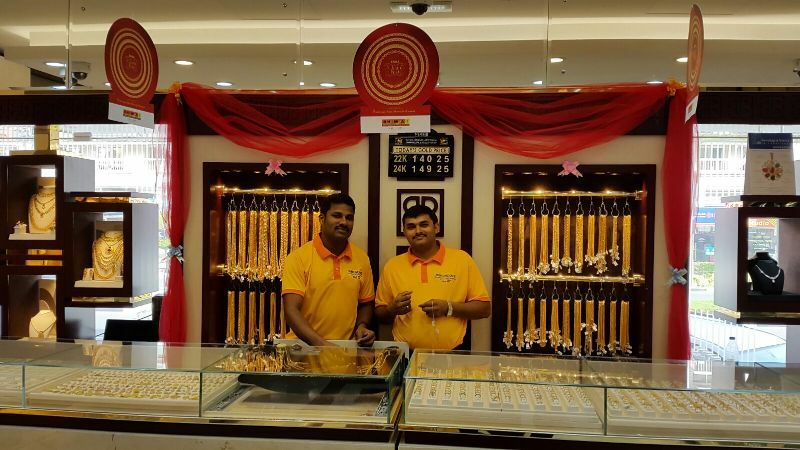 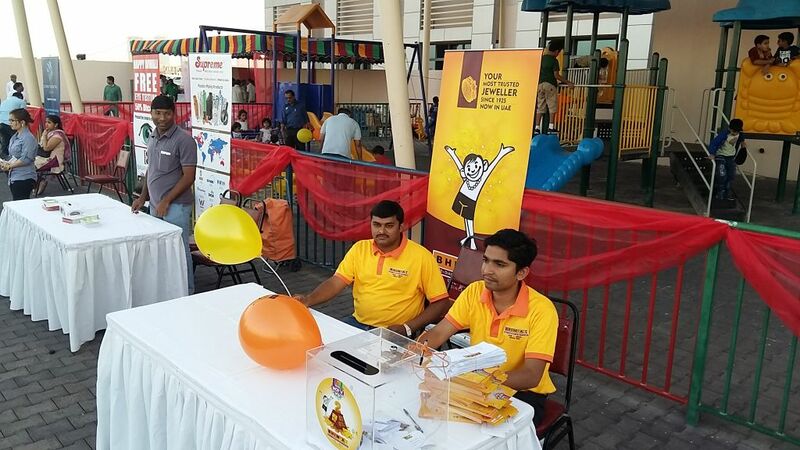 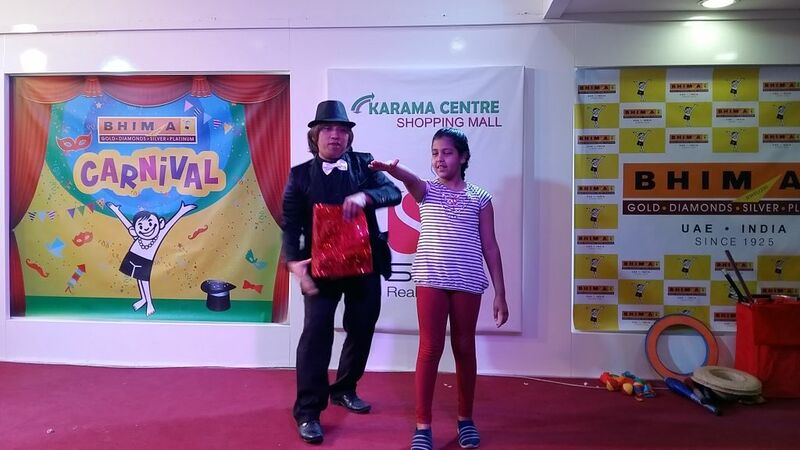 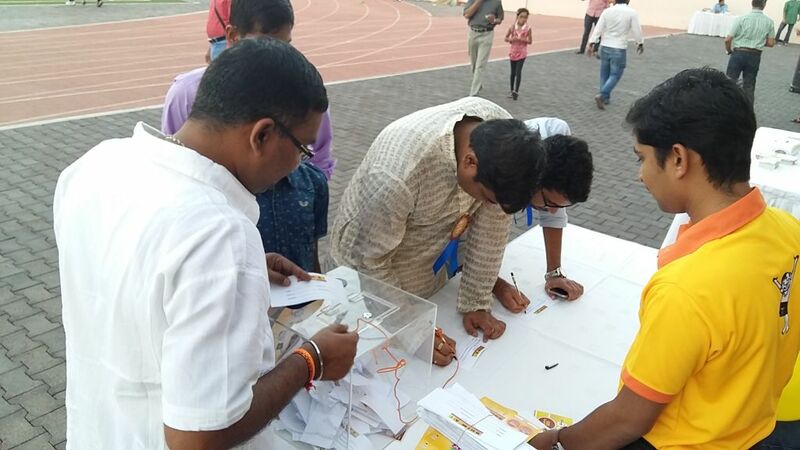 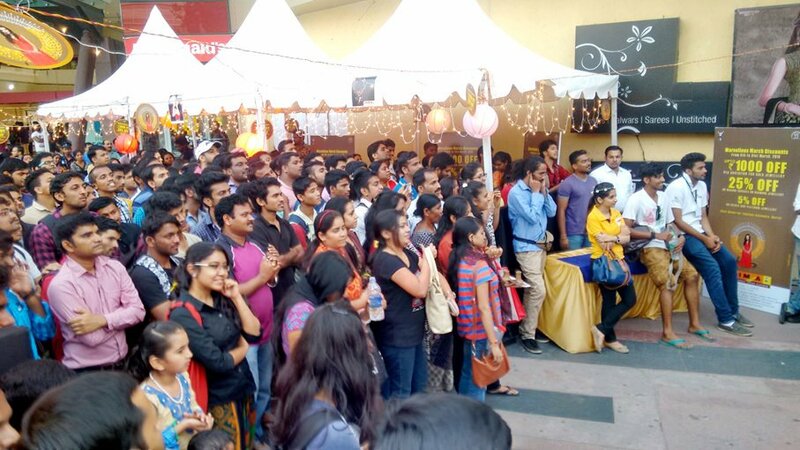 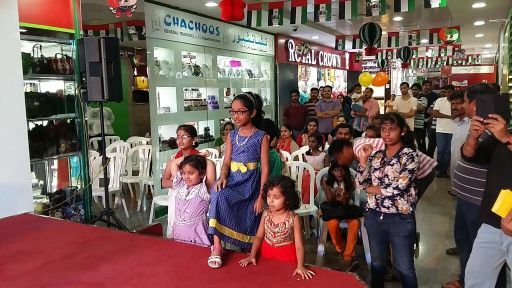 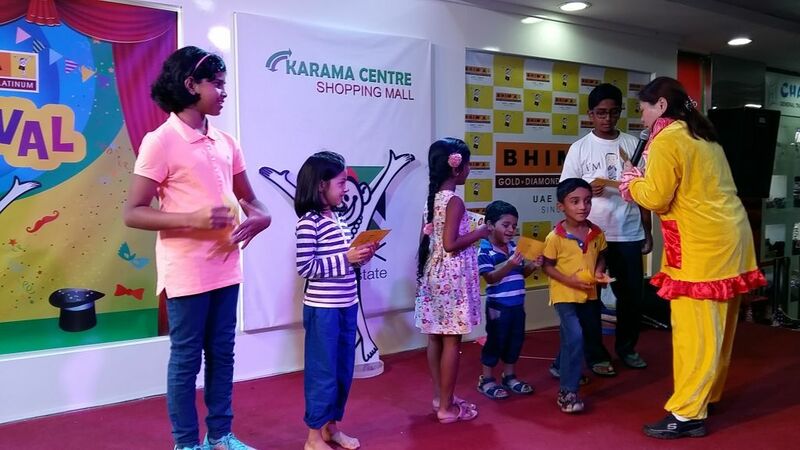 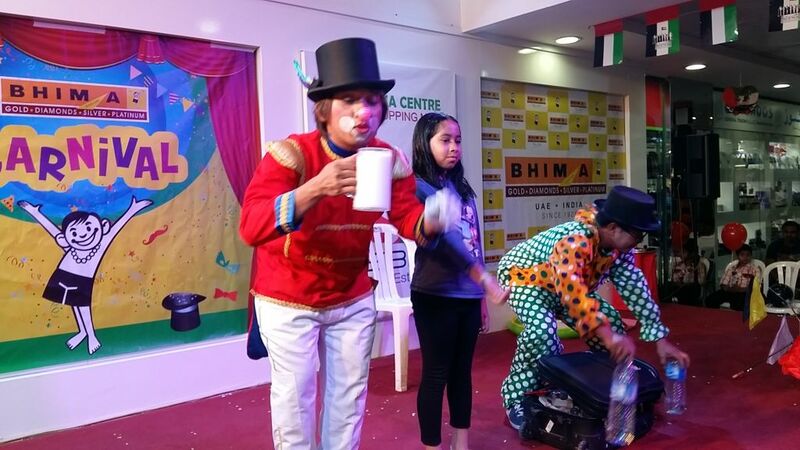 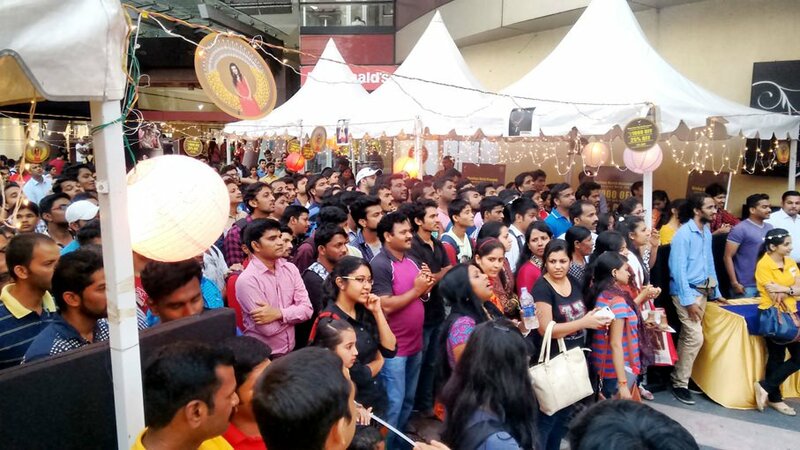 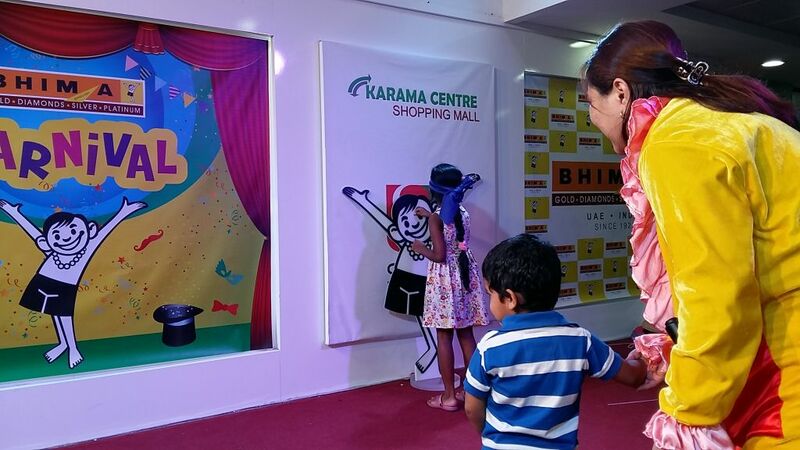 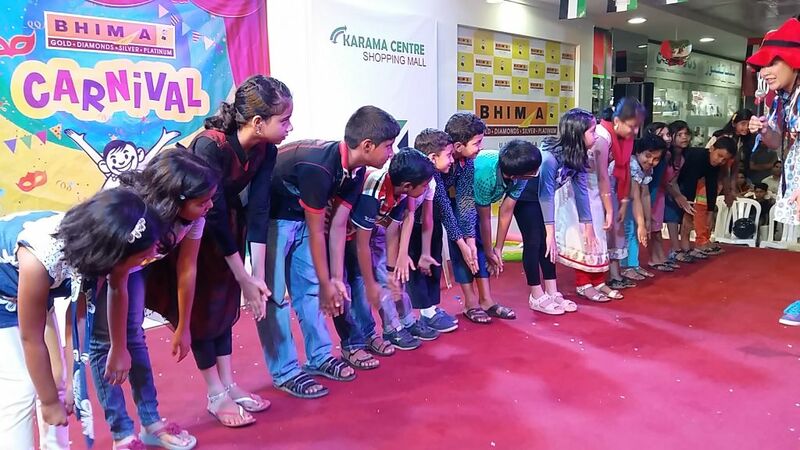 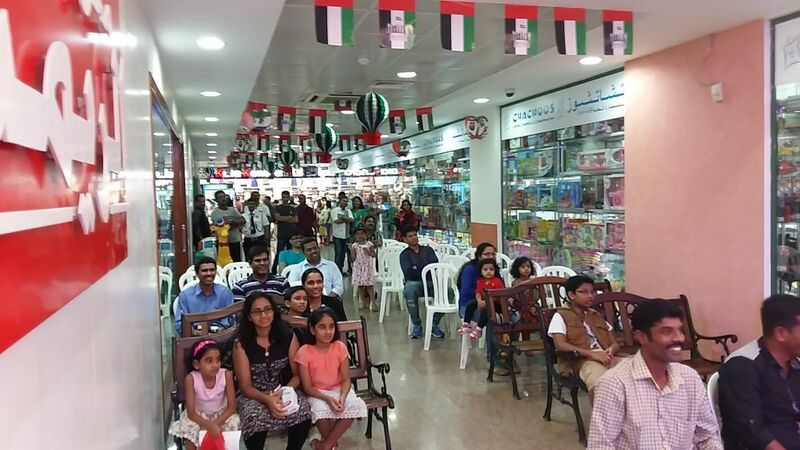 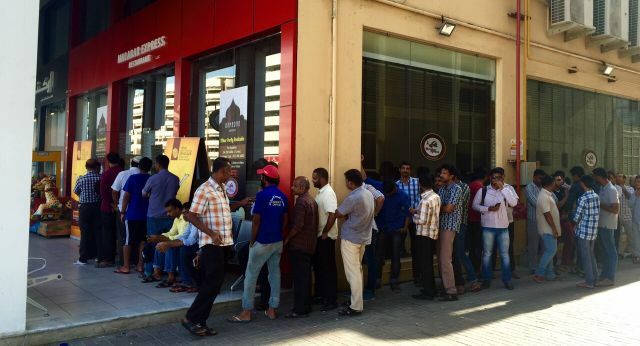 Bhima Jewellers,gave an opportunity to enjoy a fun packed holiday with Hit FM RJs.Those shopping at Bhima Jewellers Karama Shopping centre, Dubai or Nesto Hypermarket, Butina, Sharjah showrooms and entered their invoice &amp; contact details got a chance to win in this lucky draw. 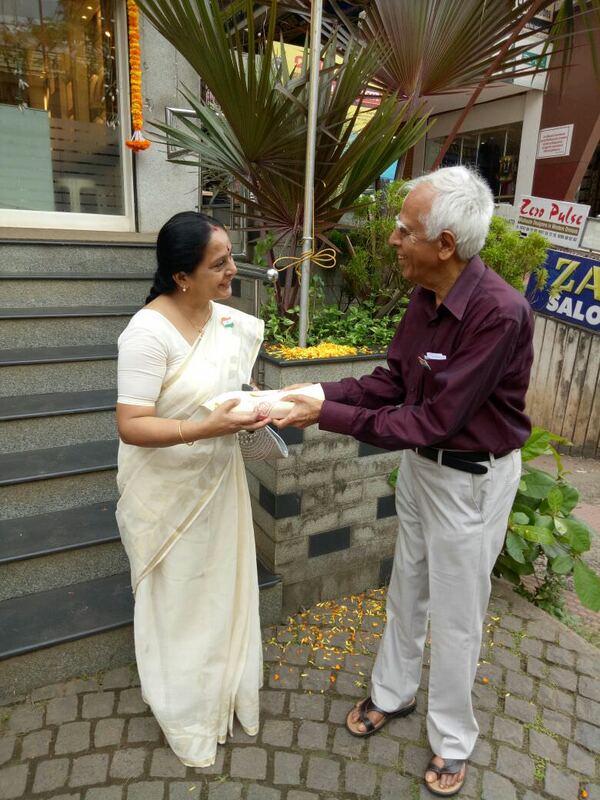 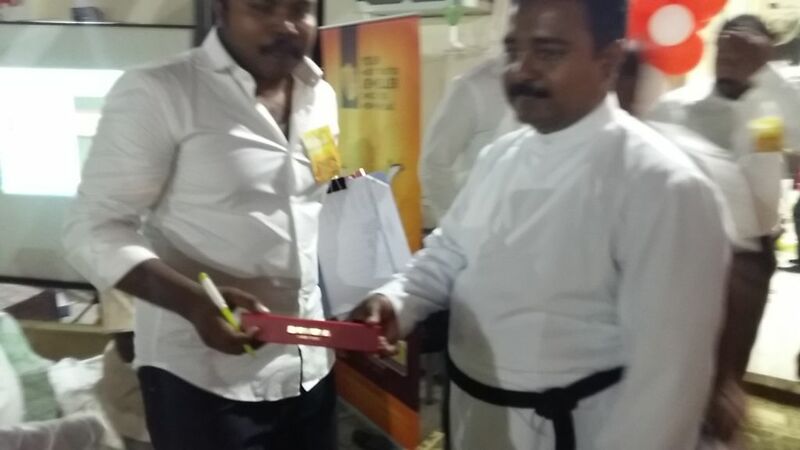 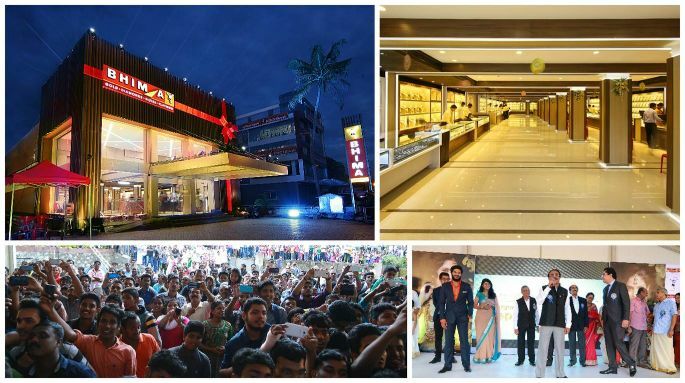 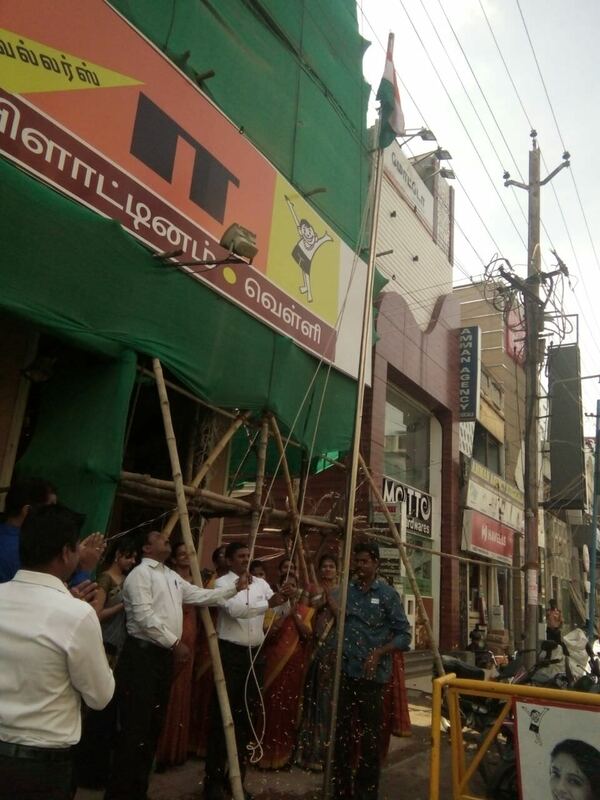 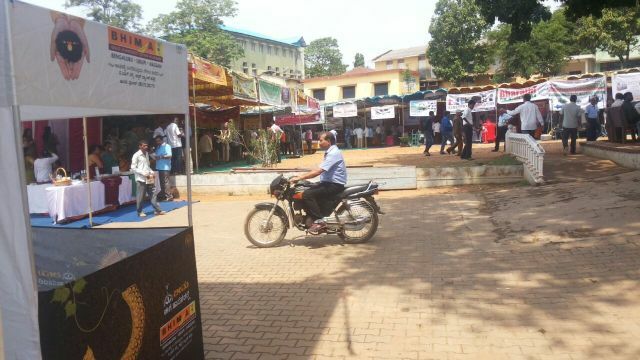 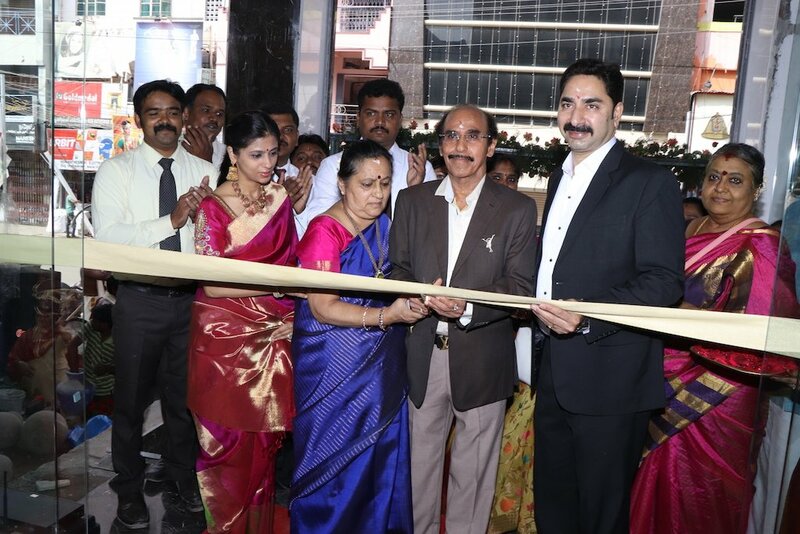 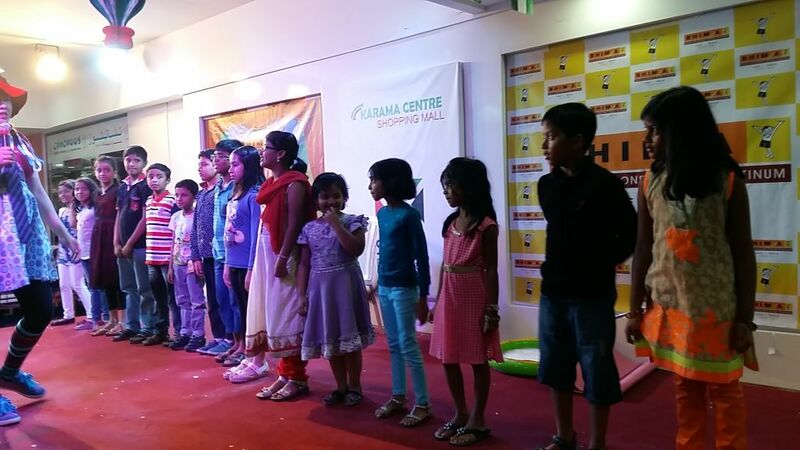 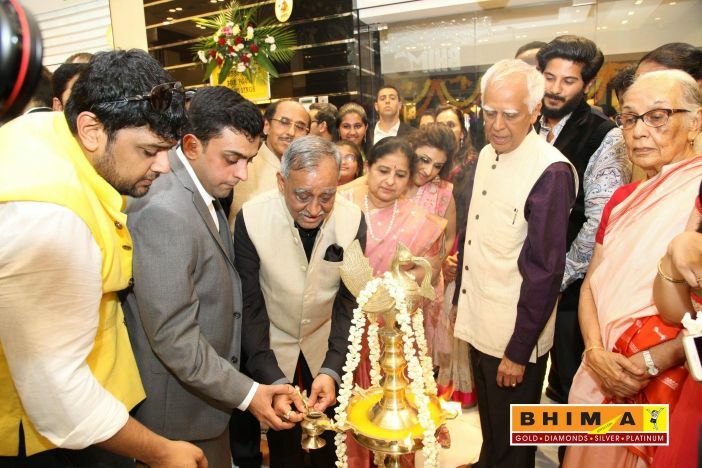 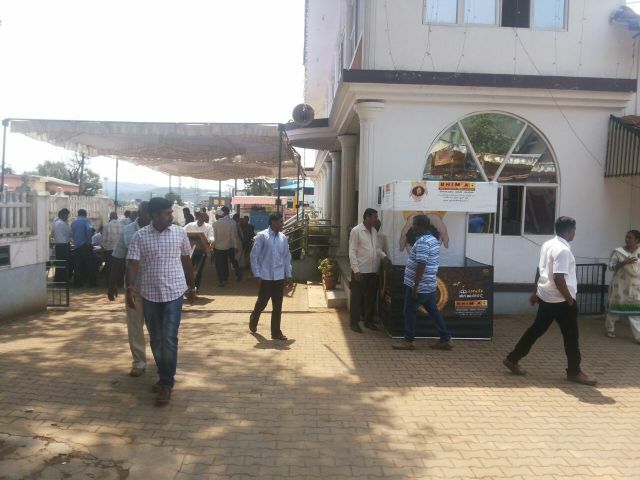 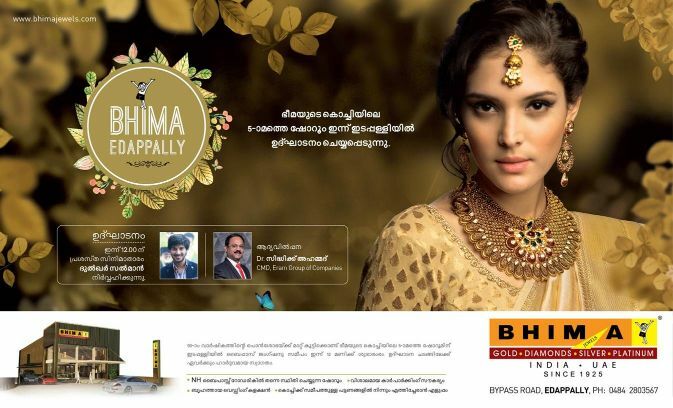 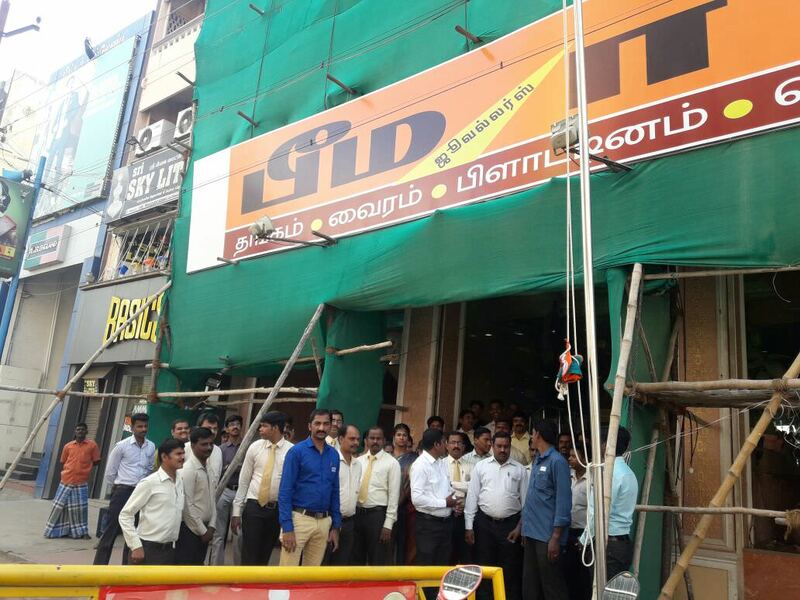 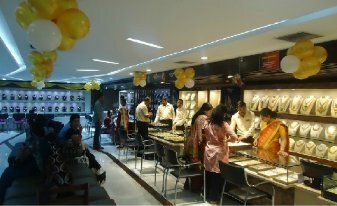 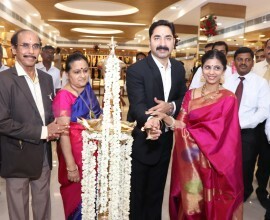 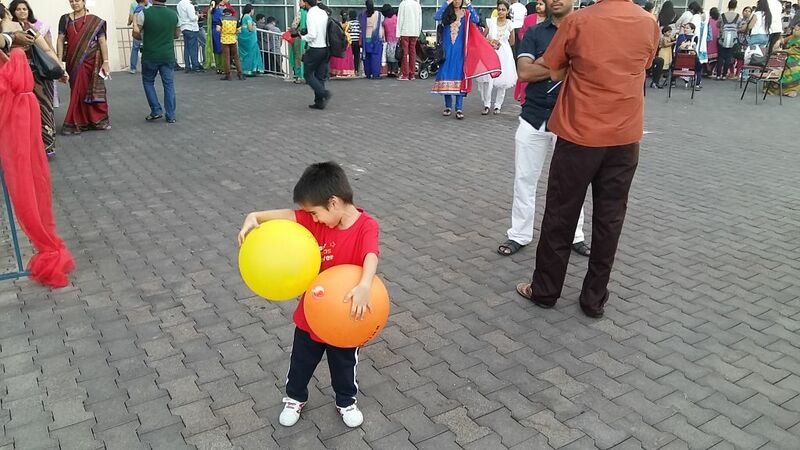 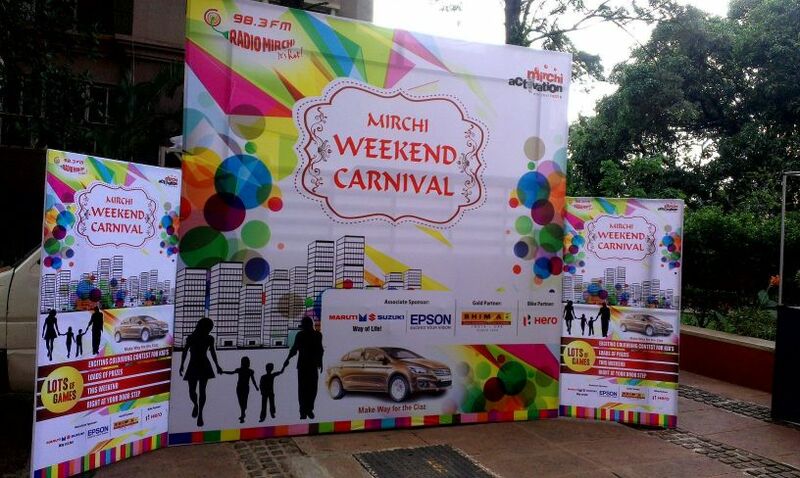 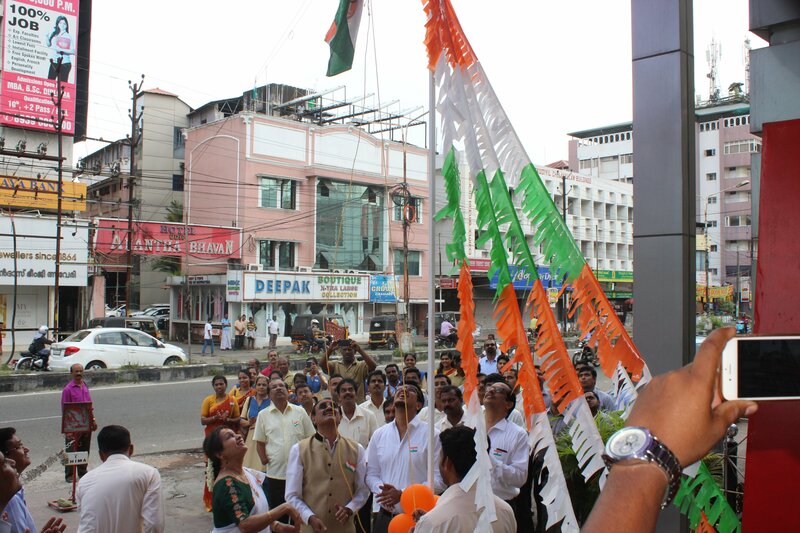 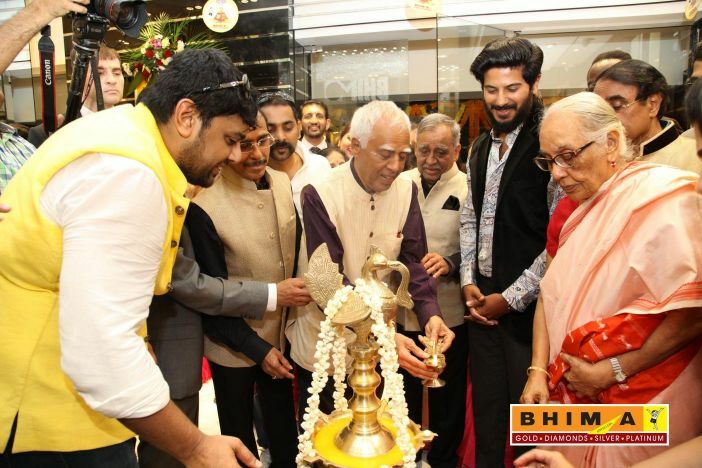 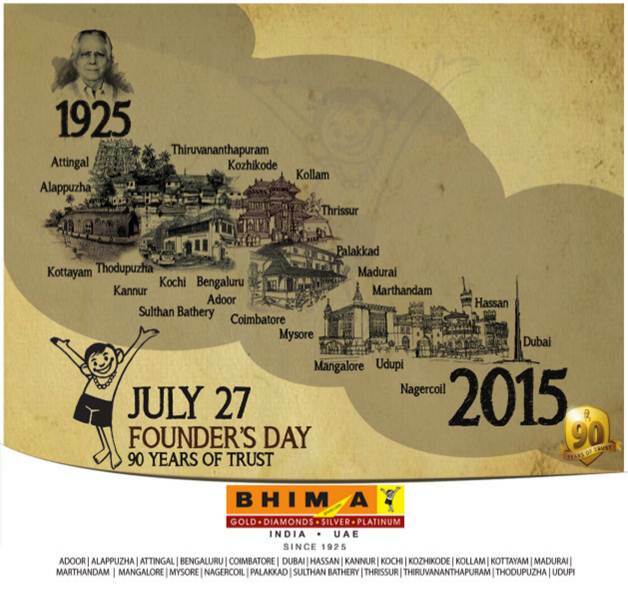 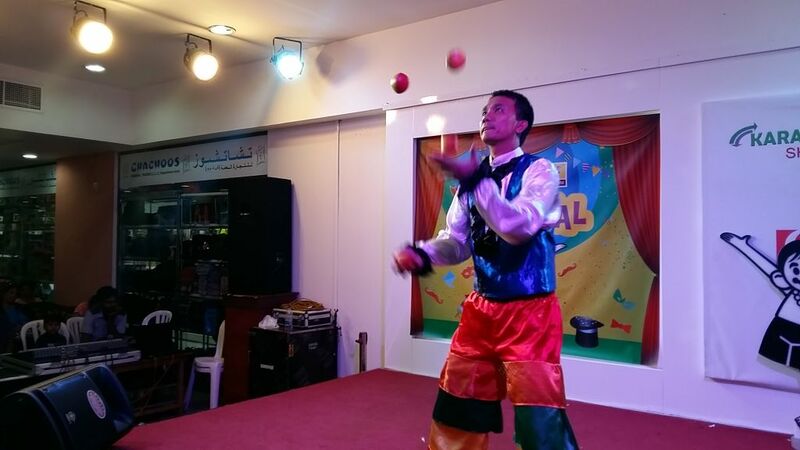 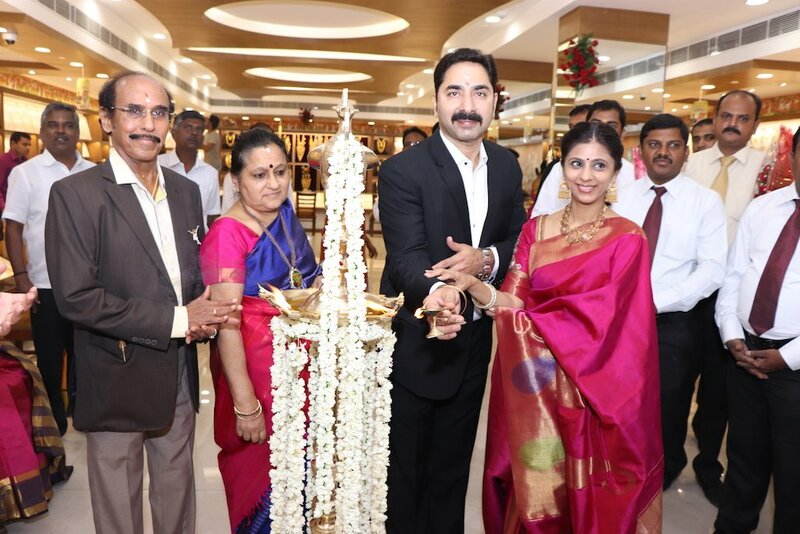 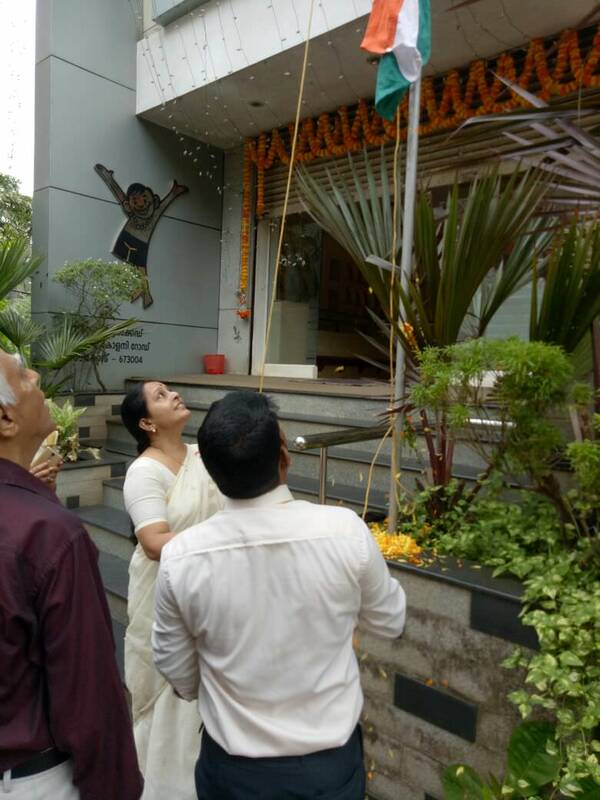 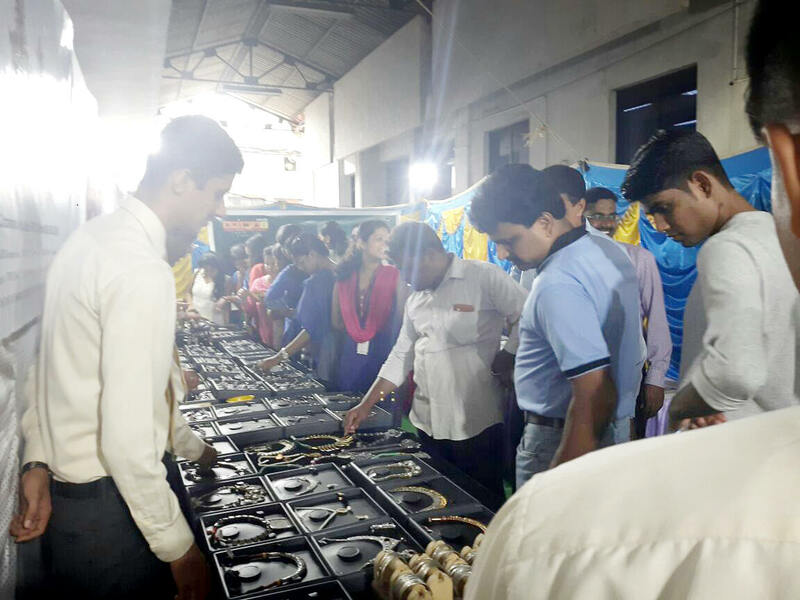 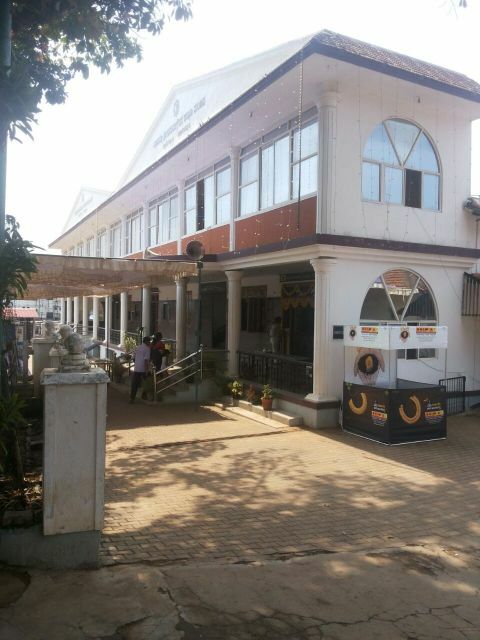 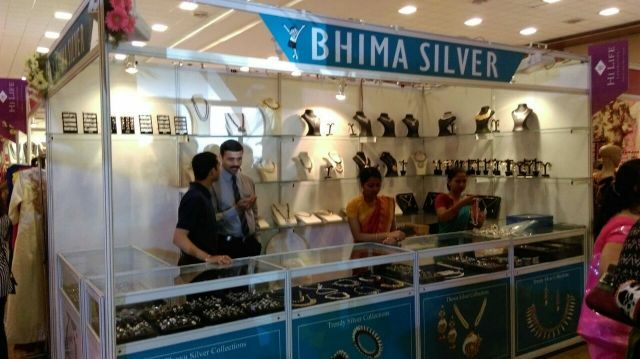 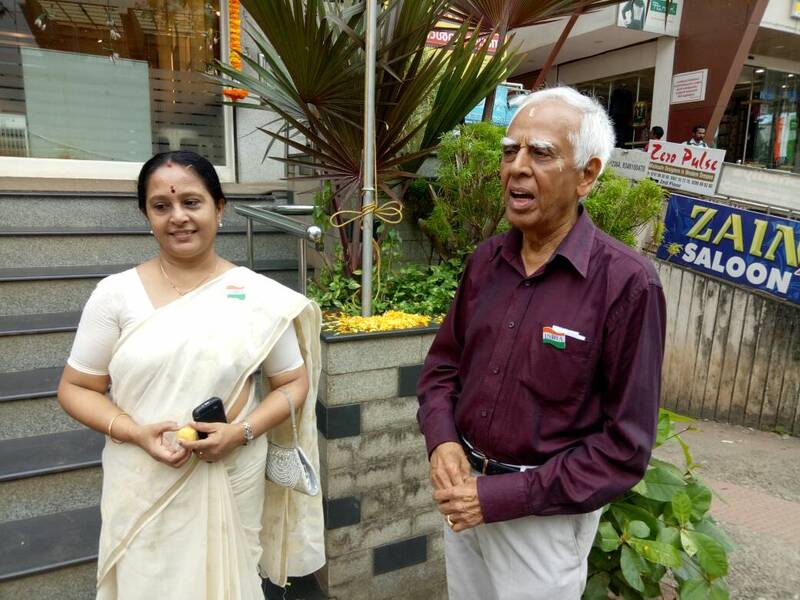 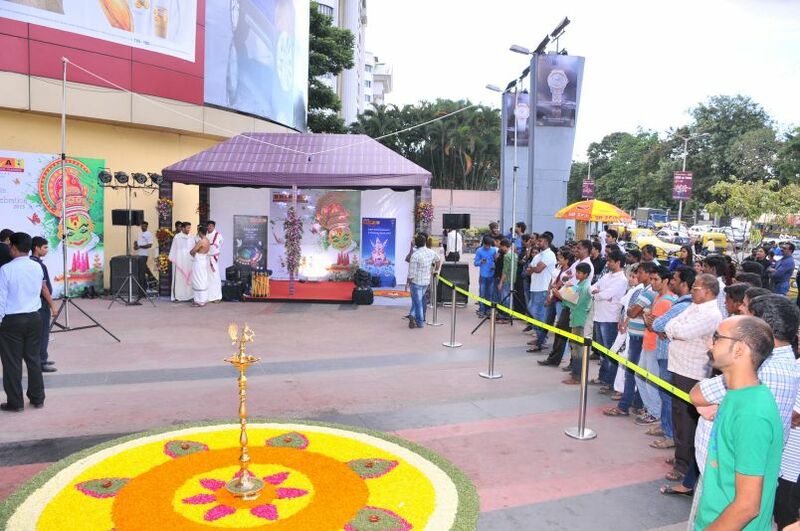 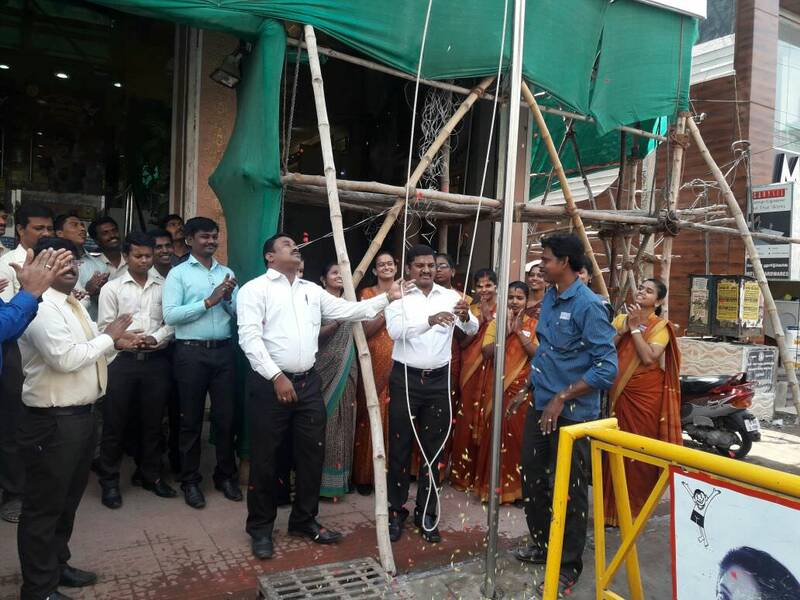 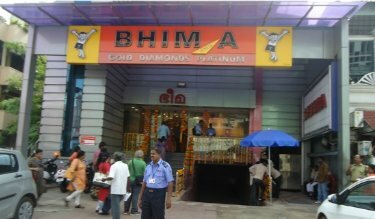 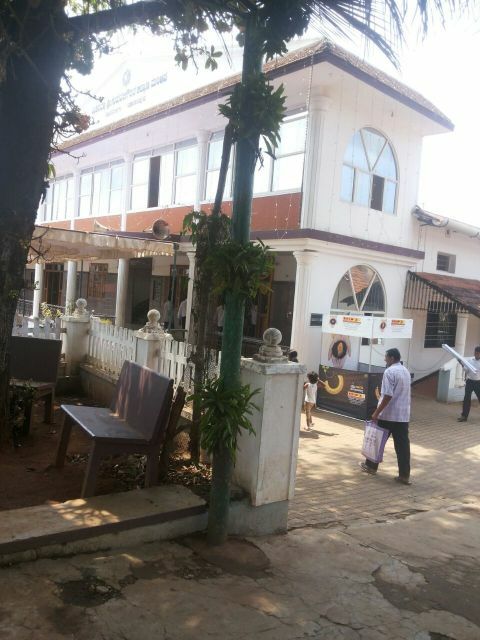 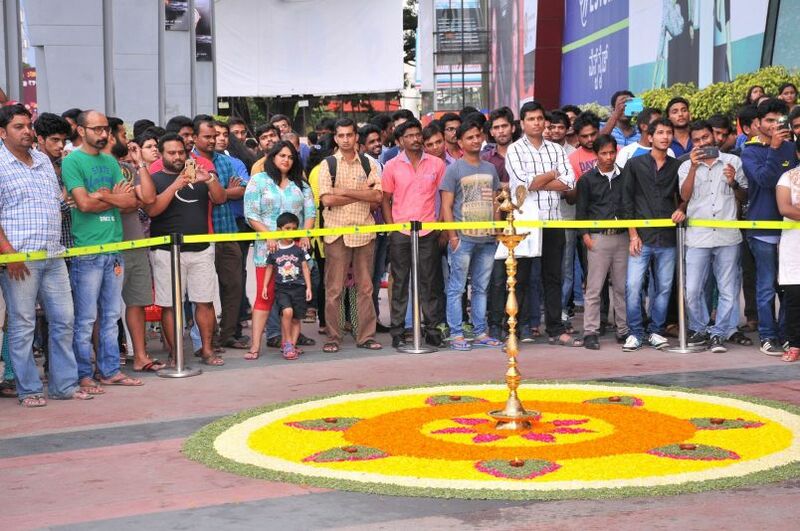 Bhima widens its network with new store at Edappally, its 5th showroom in Kochi. 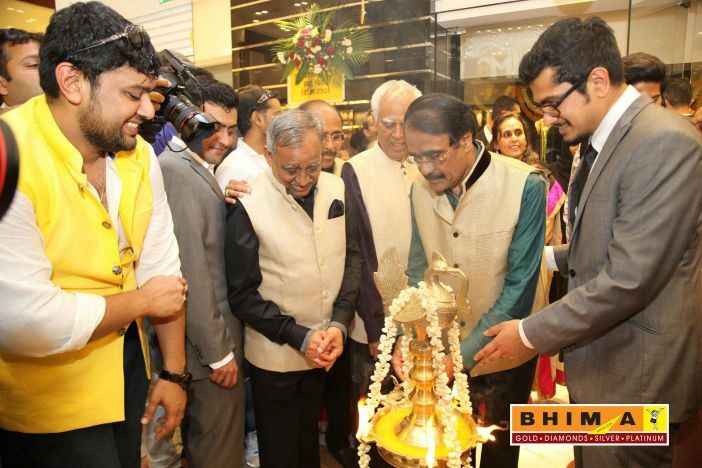 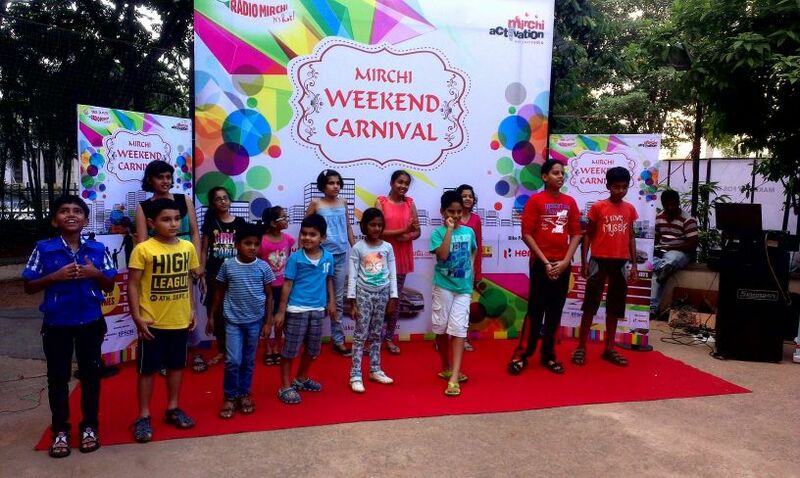 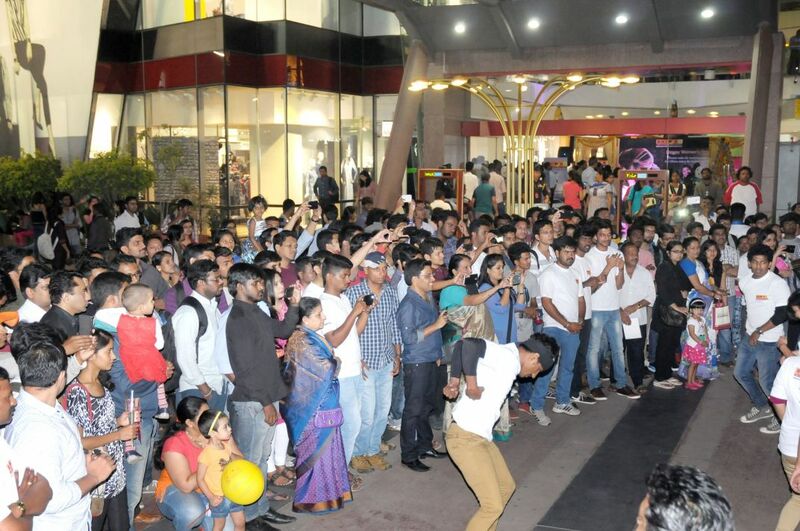 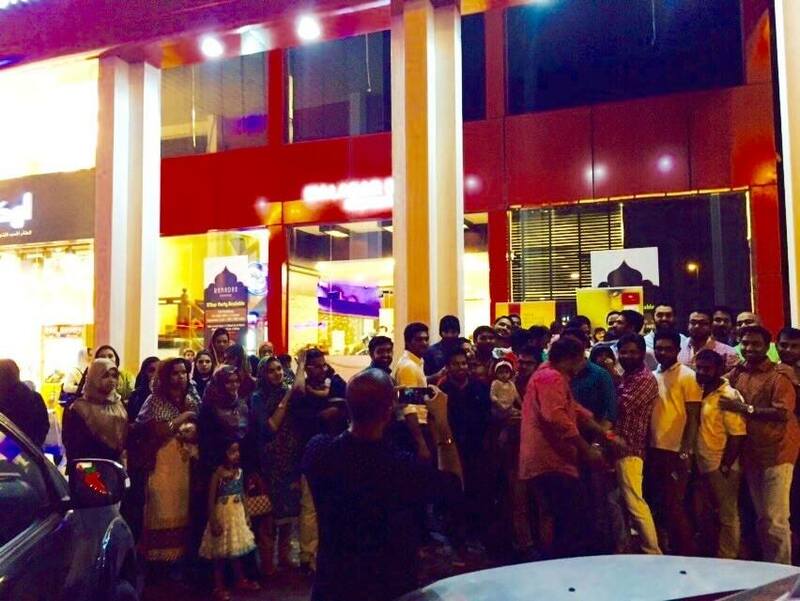 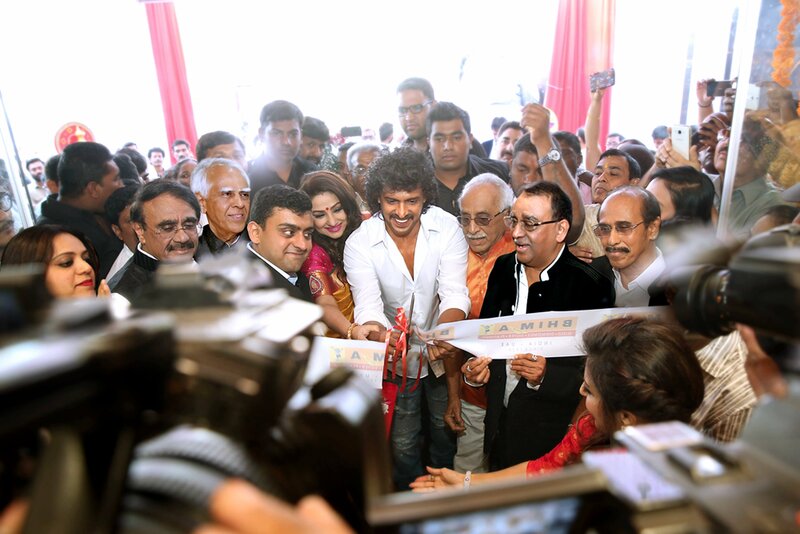 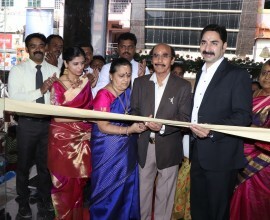 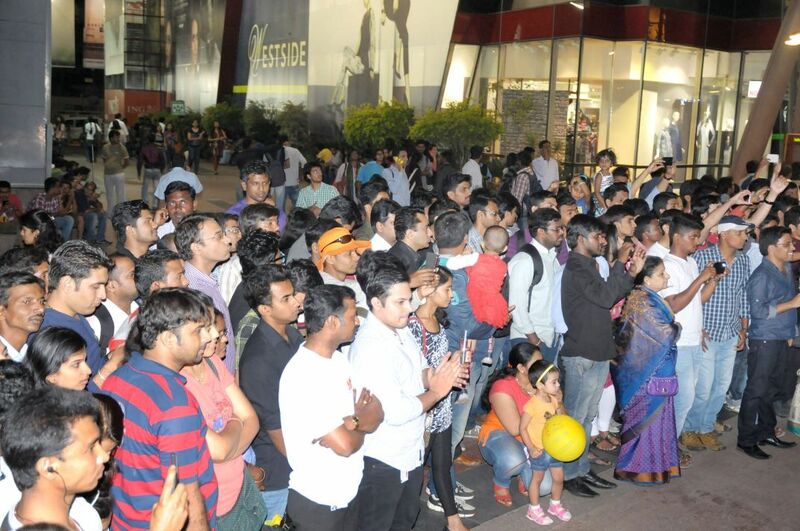 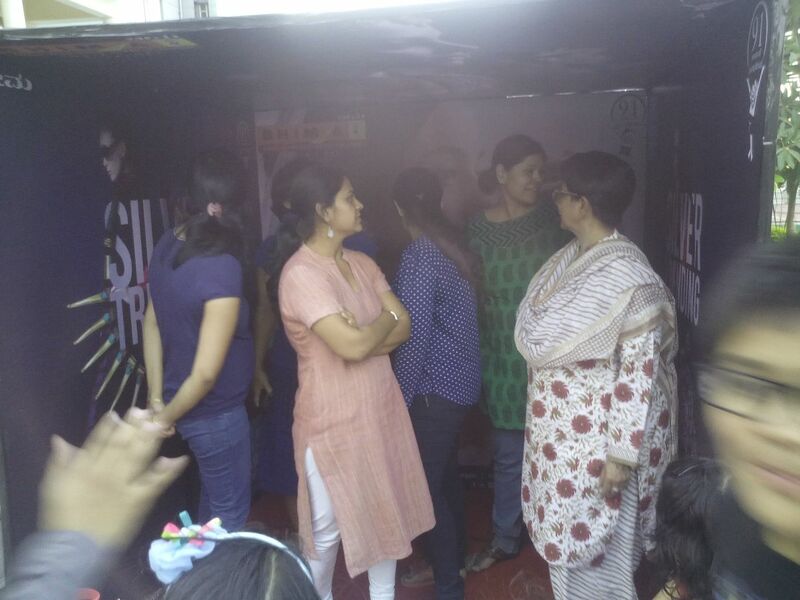 Showroom was inaugurated by cine actor Dulquer Salmaan.